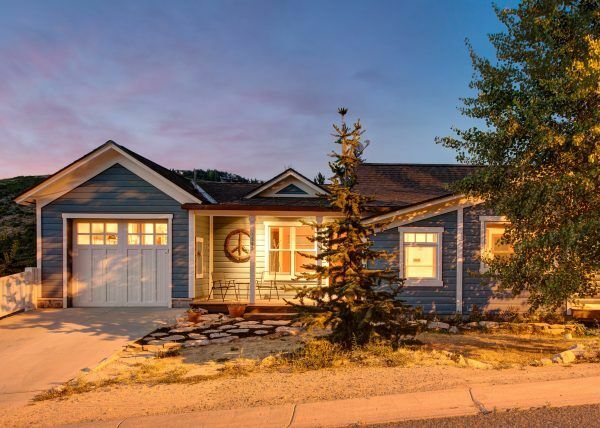 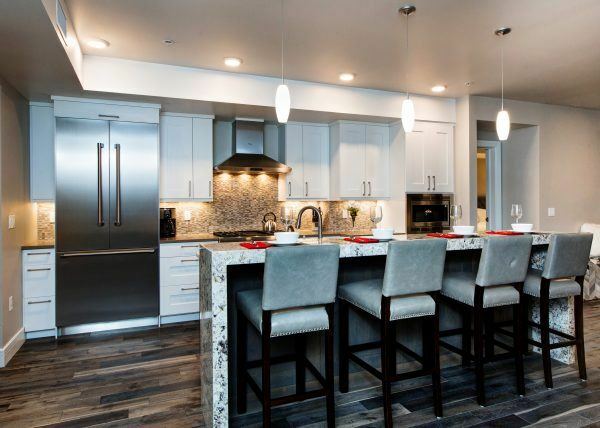 Once you arrive at this newly built home – relax in it’s spacious 3,600 sq ft that has everything & more! 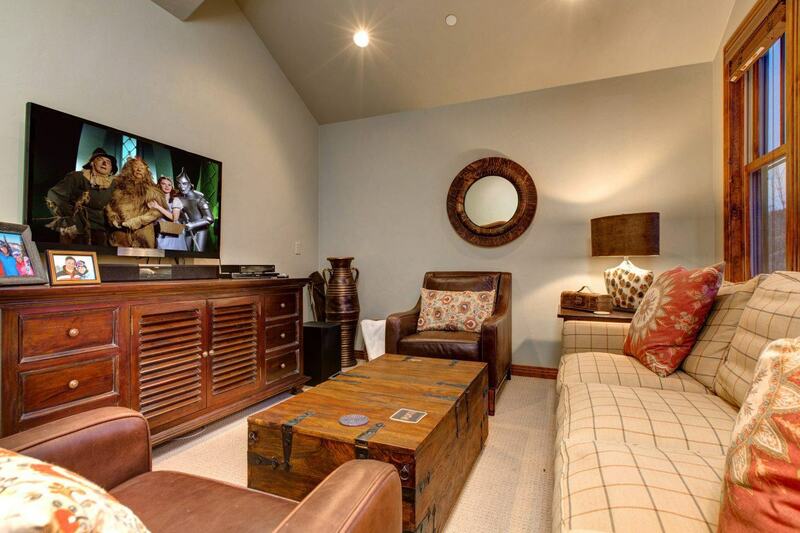 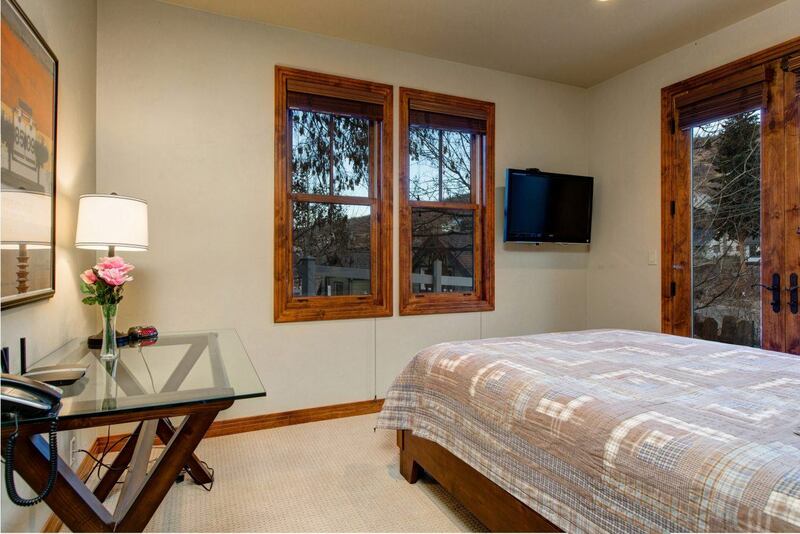 The 4 bedrooms have full baths, walk-in closets, flat screen TVs and I-pod docking sound systems. 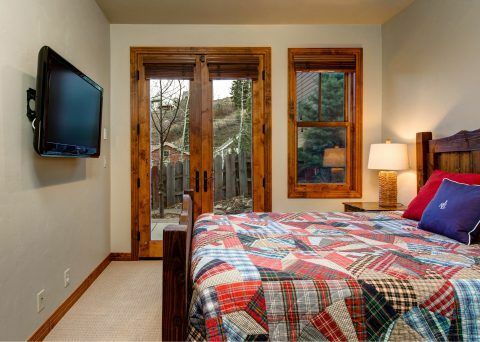 Fifth bedroom has a sleeper sofa. 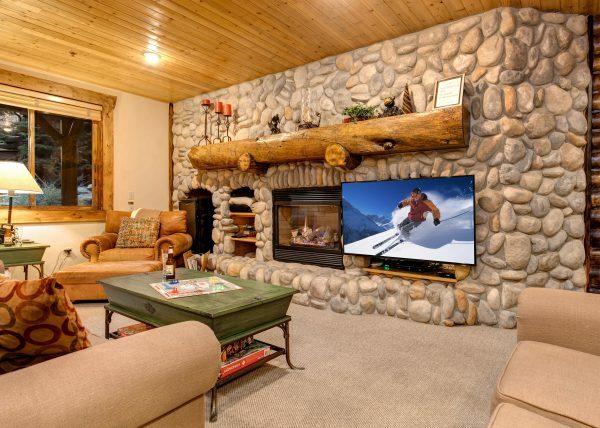 Lots of gear? 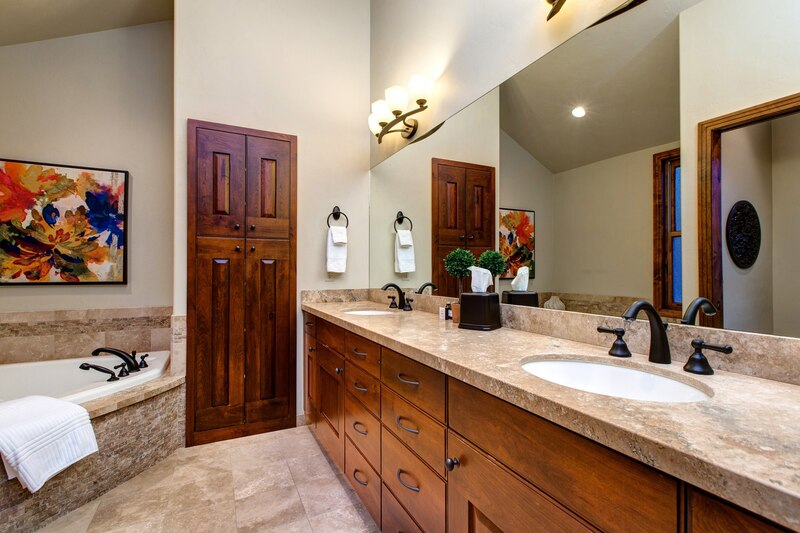 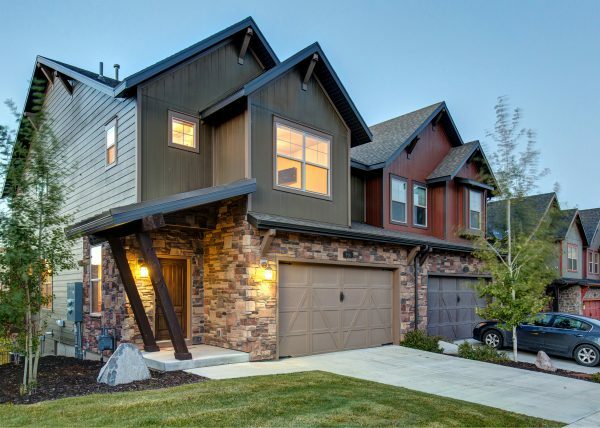 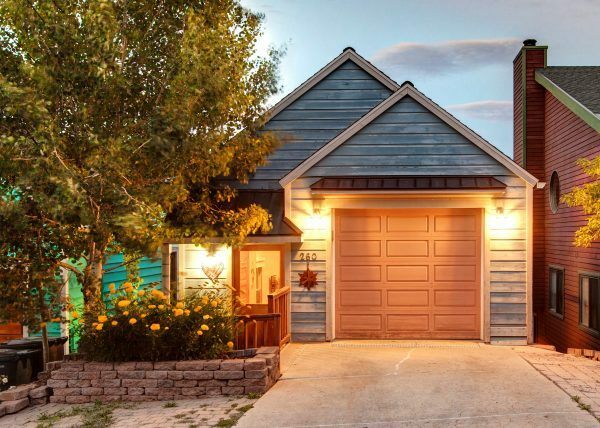 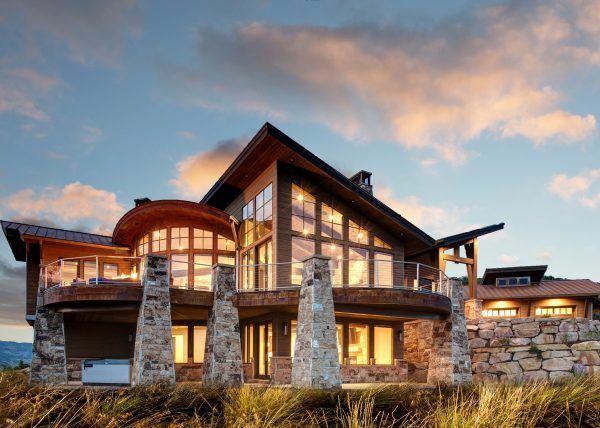 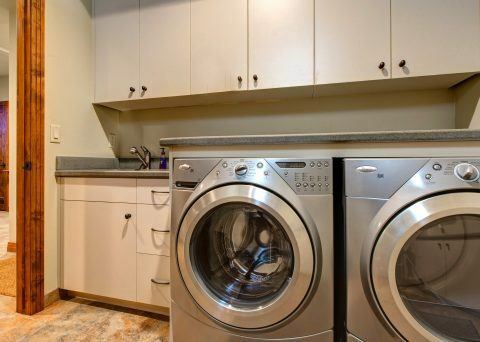 – no problem with a 2 car garage, large laundry room and closets. 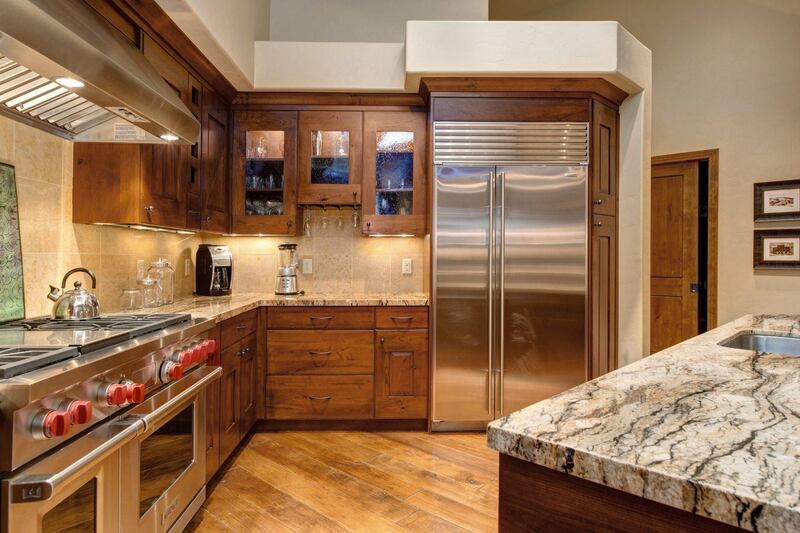 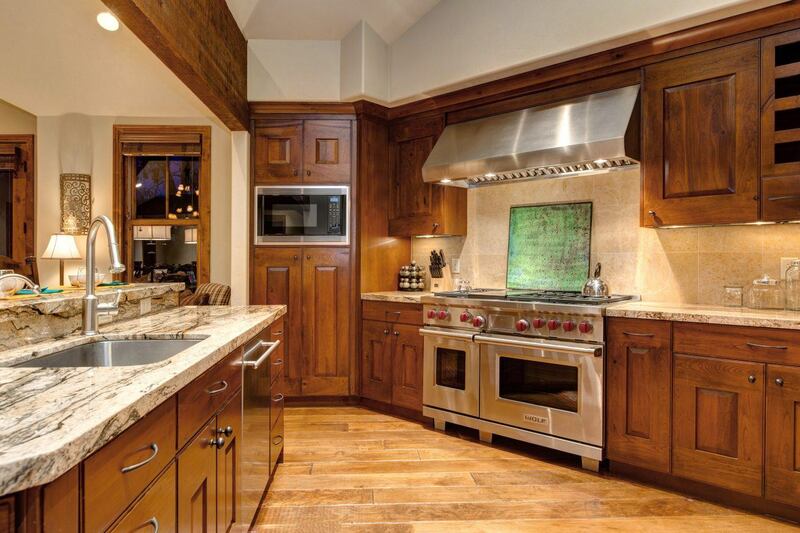 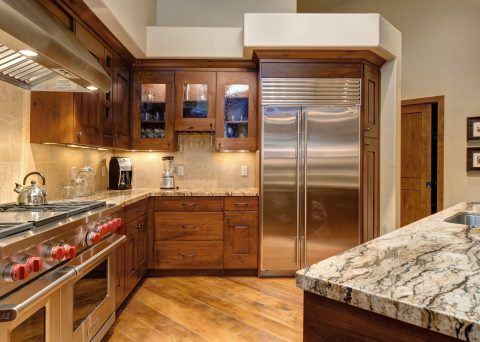 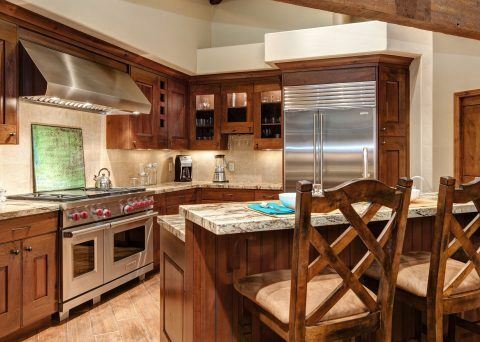 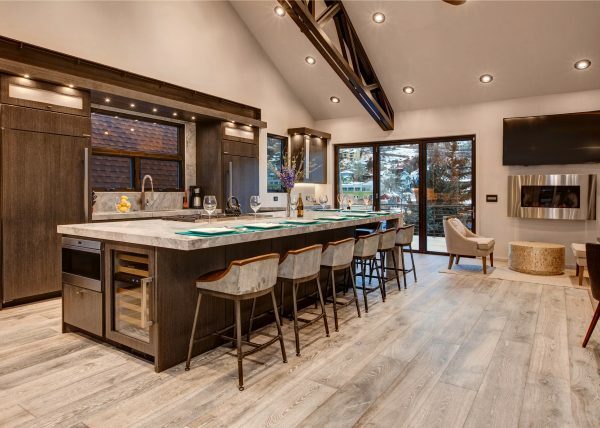 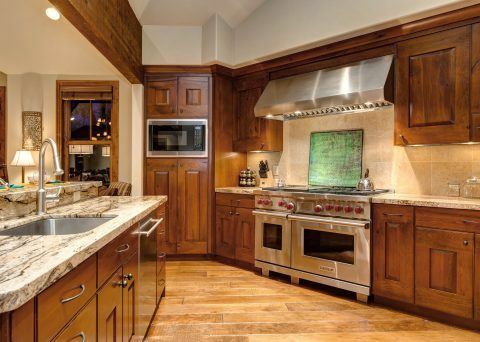 Enjoy cooking in the gourmet kitchen. 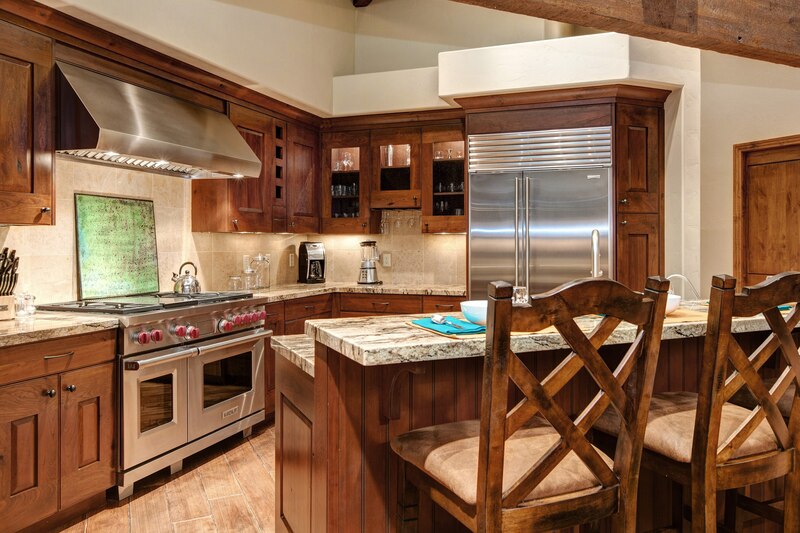 Serve 4 on a large island – or 8 seat dining room table- or walk to Main Street’s World Class restaurants & bars, or hire a private chef. 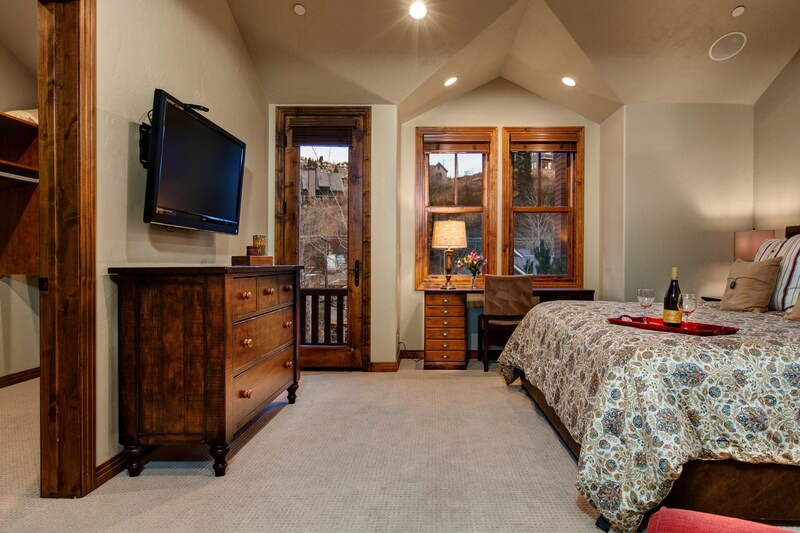 The master bedroom has cathedral ceilings and king bed, walk-in closet and a large bathroom with steam shower and a Jacuzzi tub. 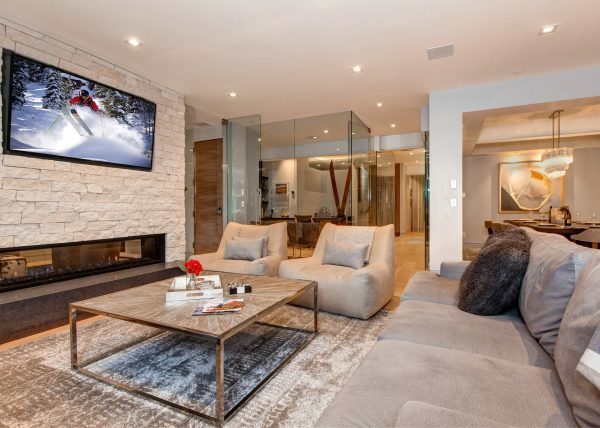 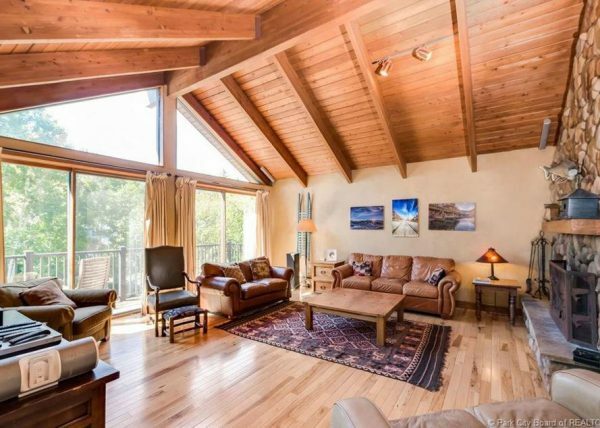 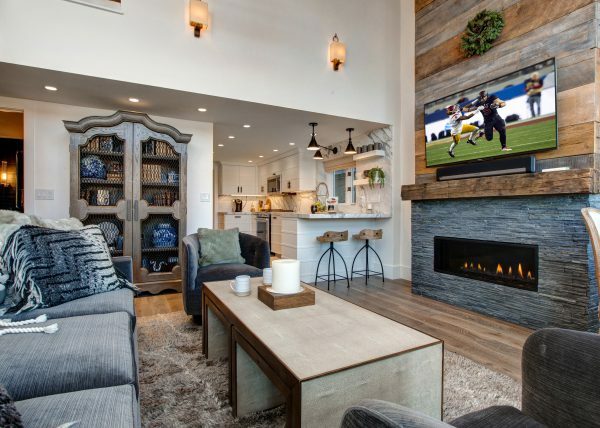 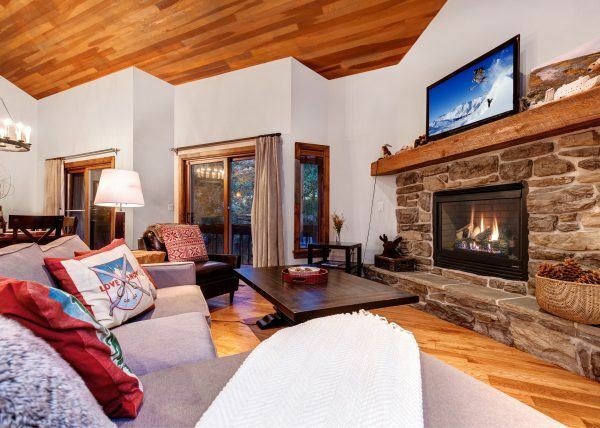 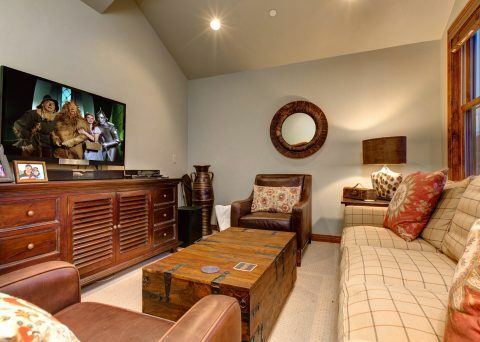 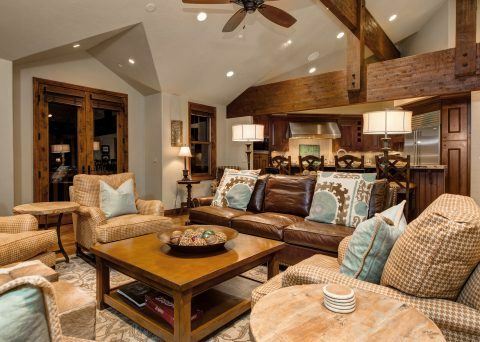 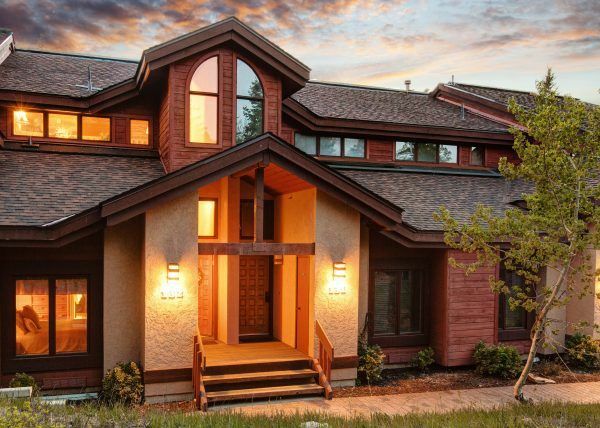 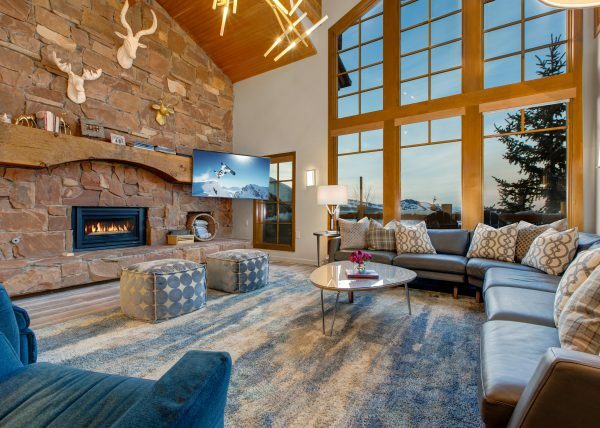 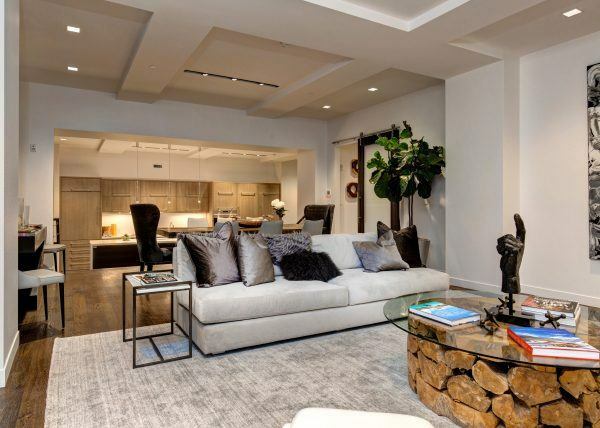 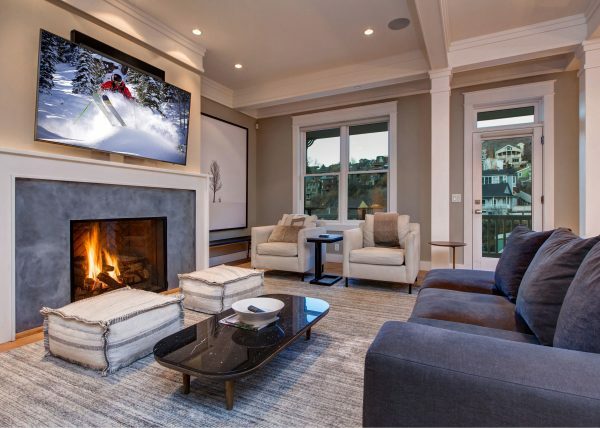 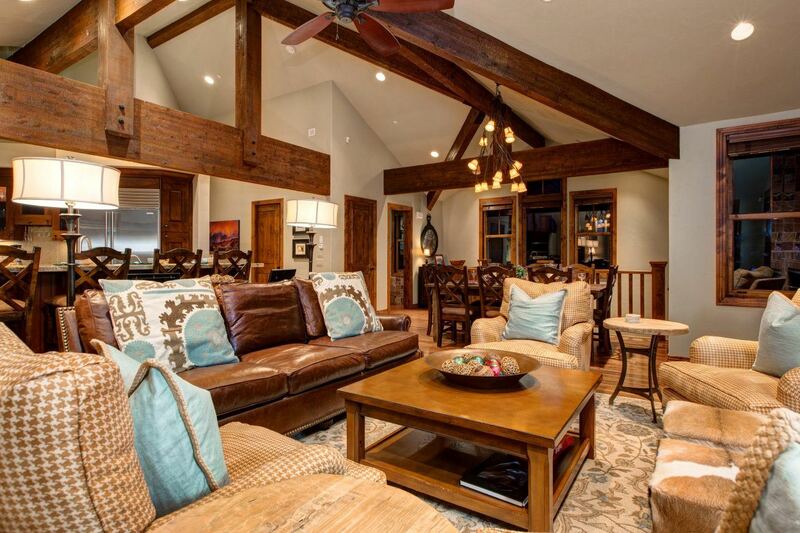 Entertain in the spacious Great Room with 20 foot vaulted ceilings, gas fireplace and high-end furniture – while others enjoy the privacy of a TV room. 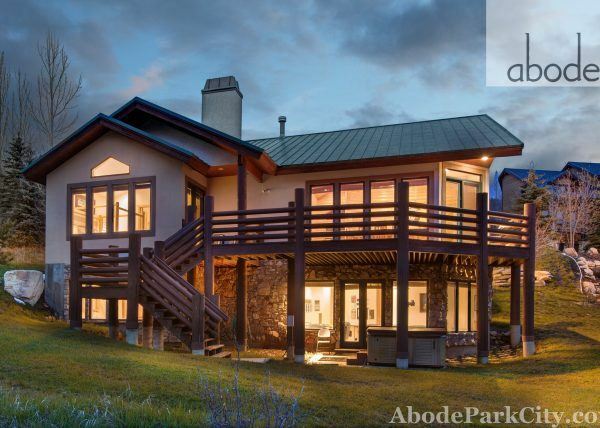 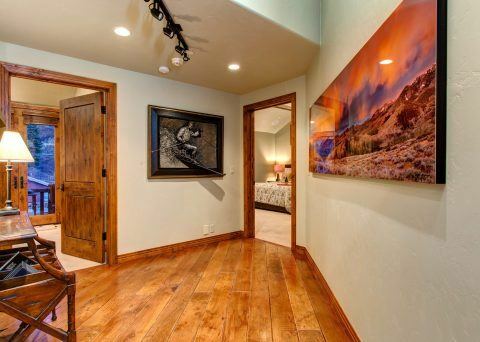 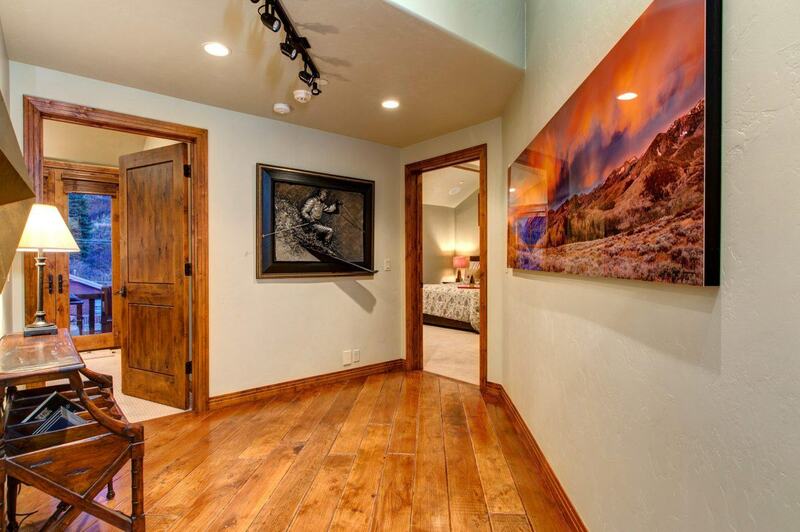 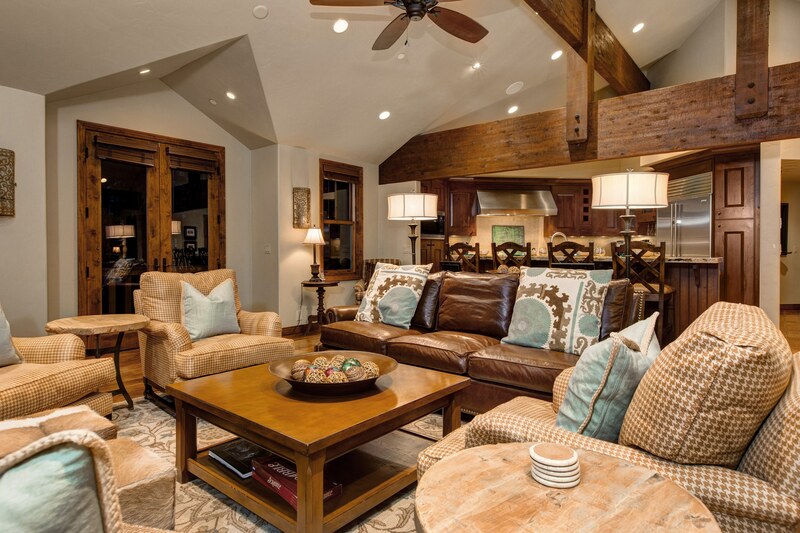 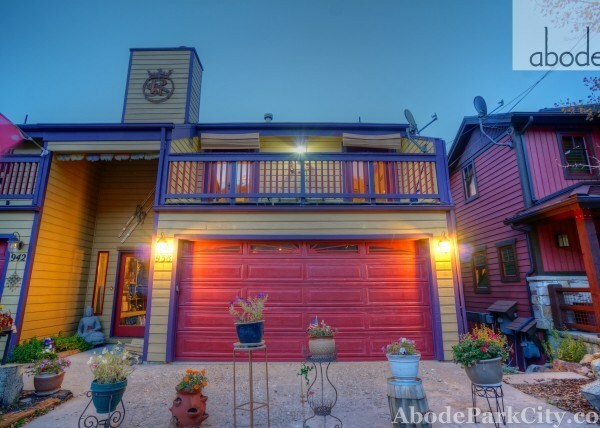 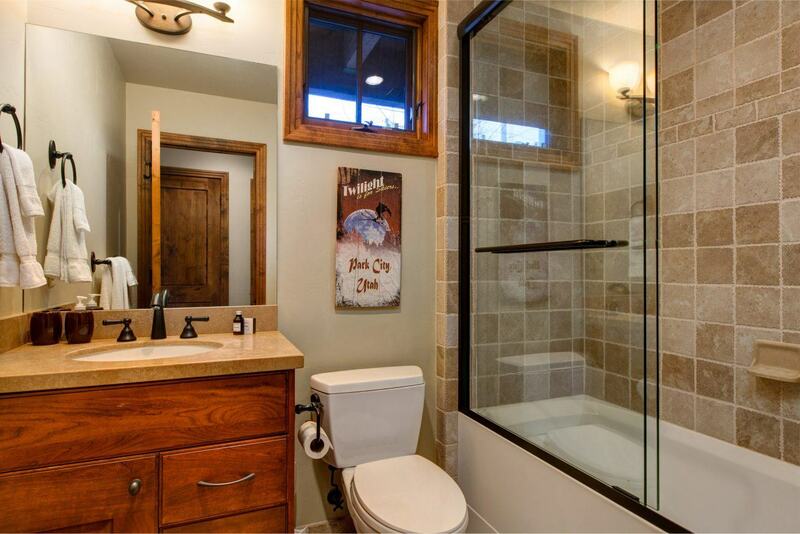 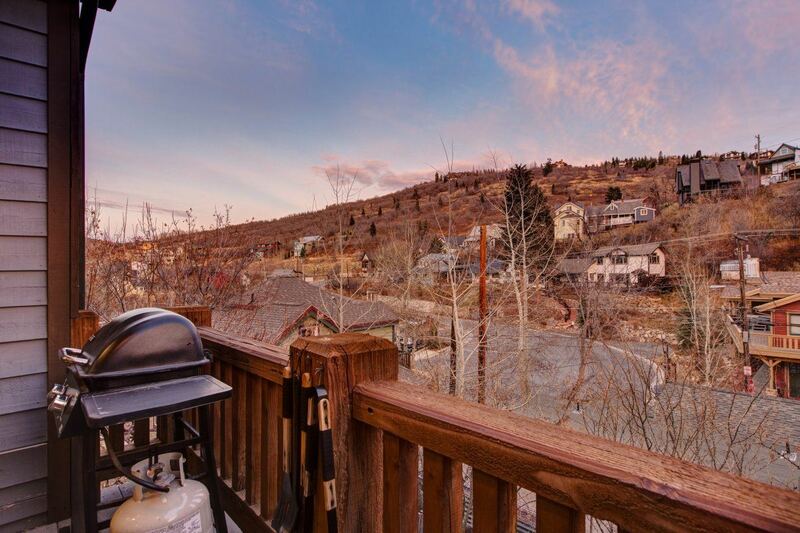 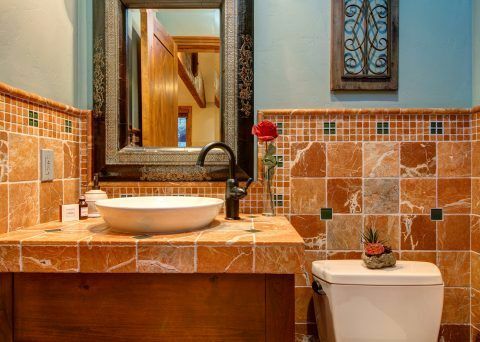 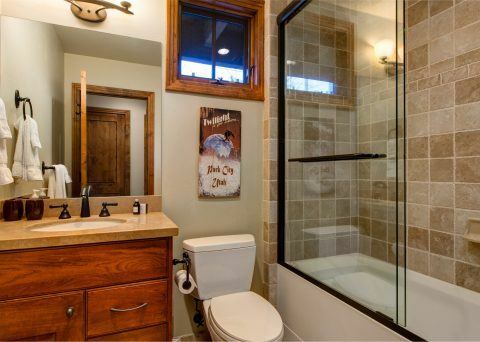 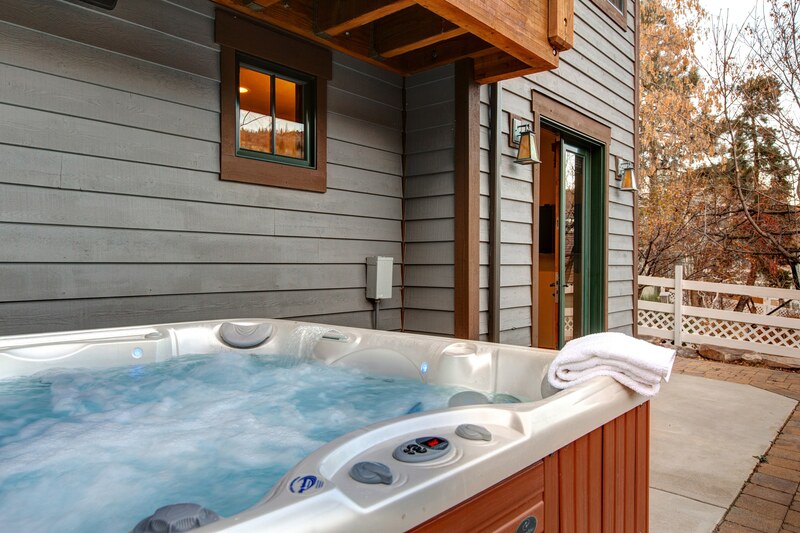 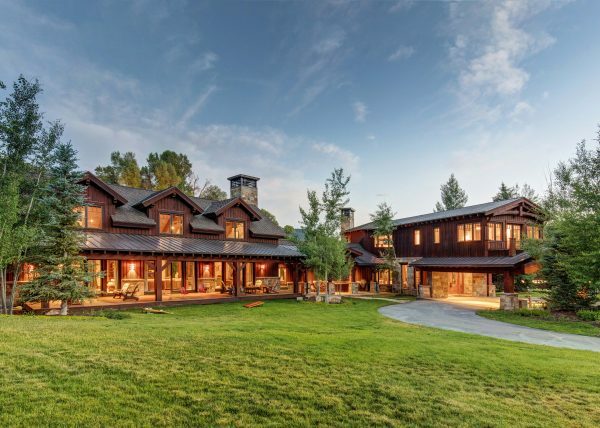 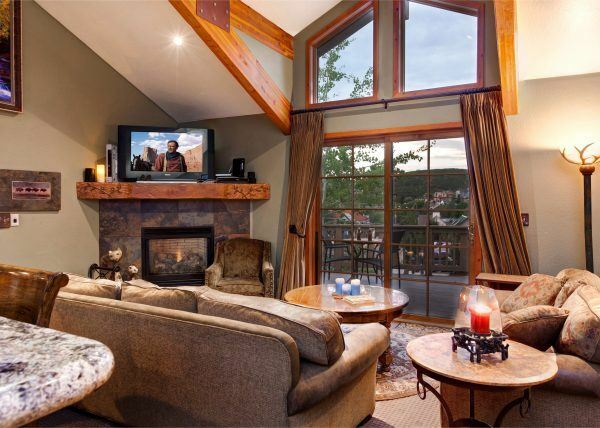 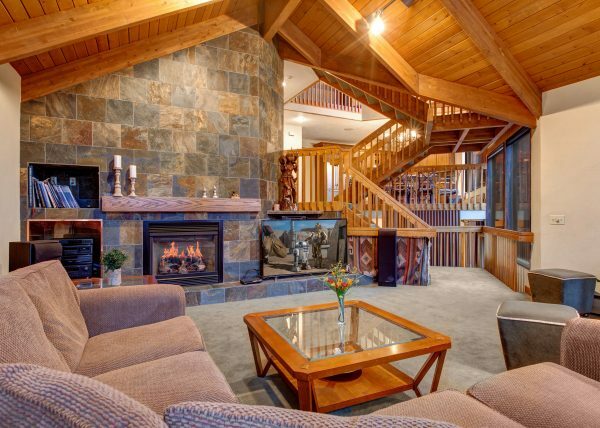 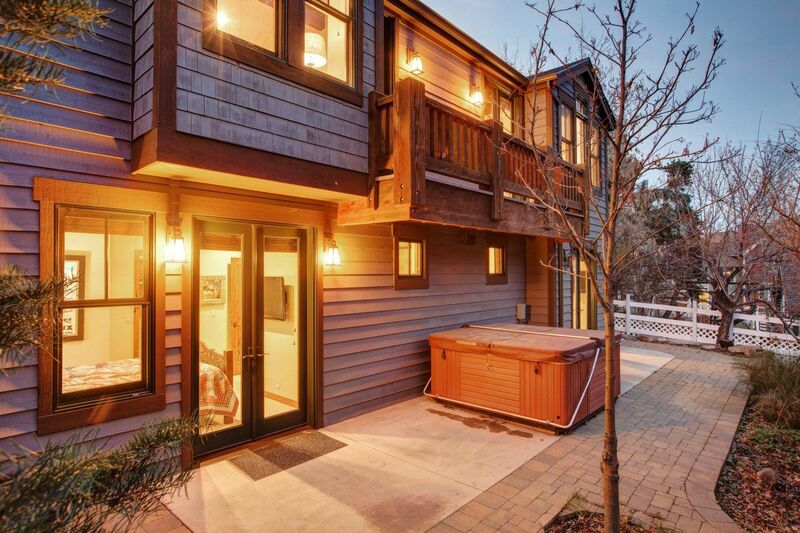 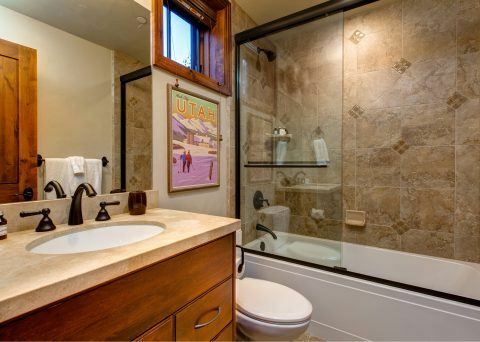 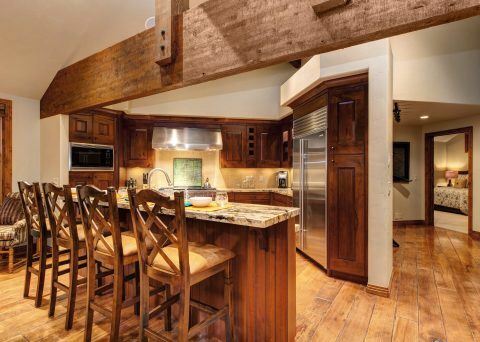 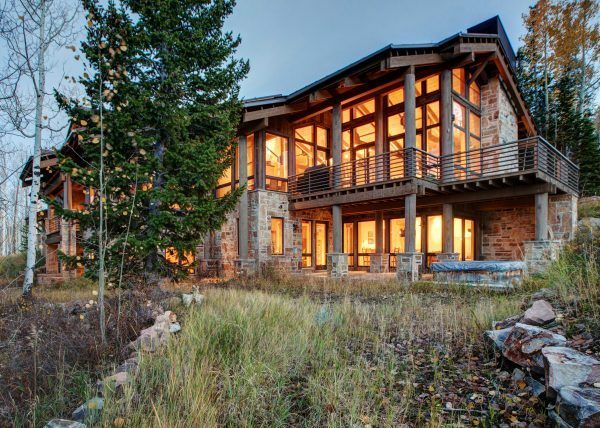 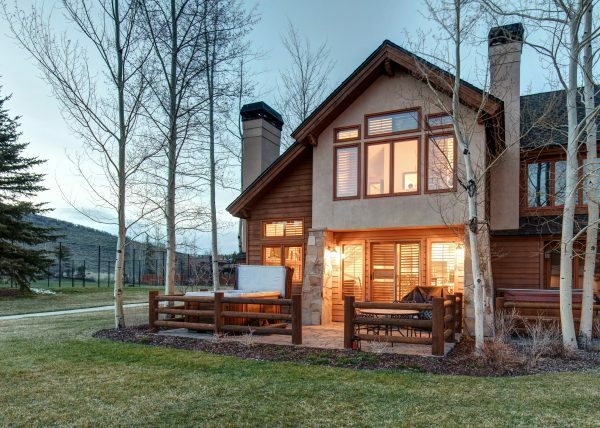 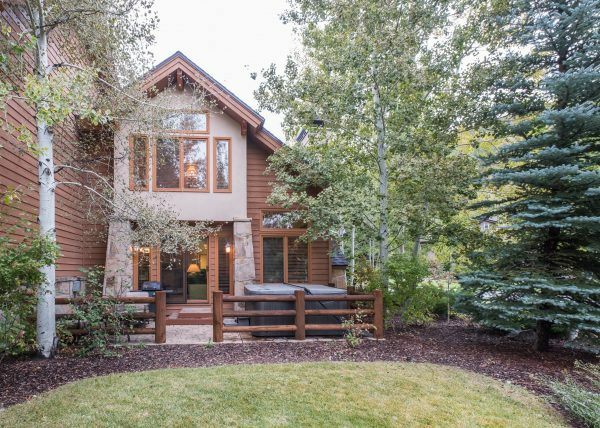 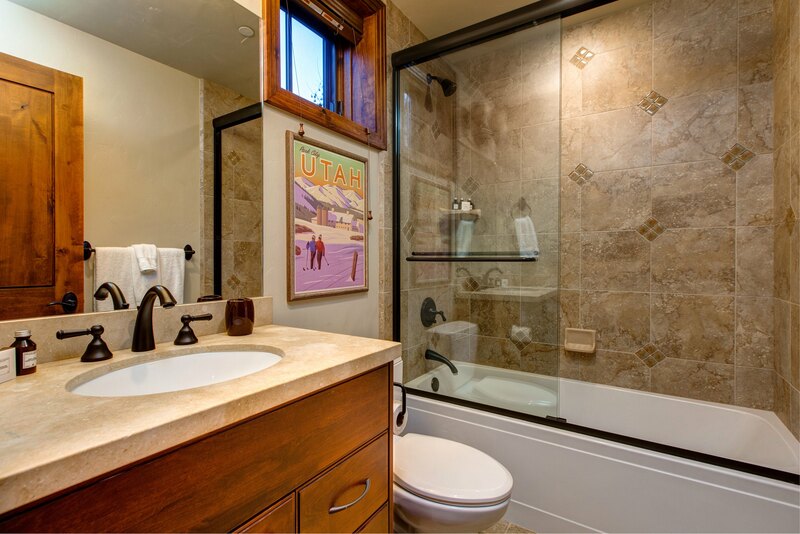 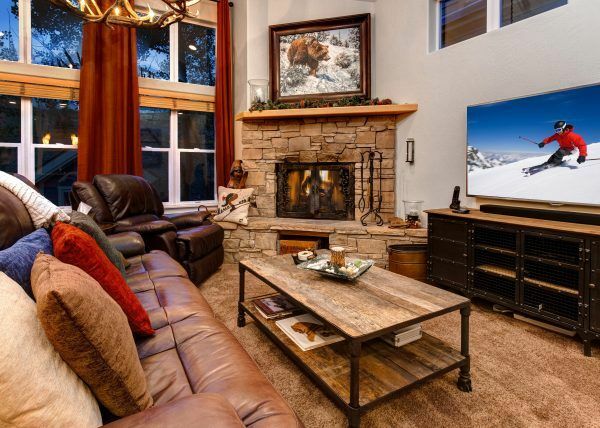 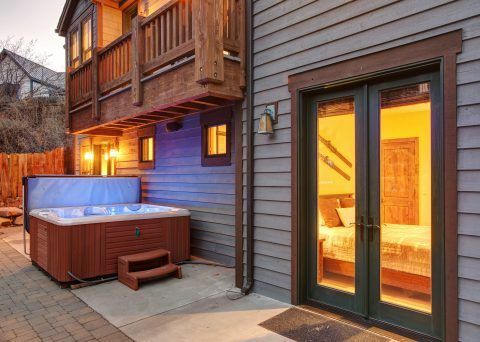 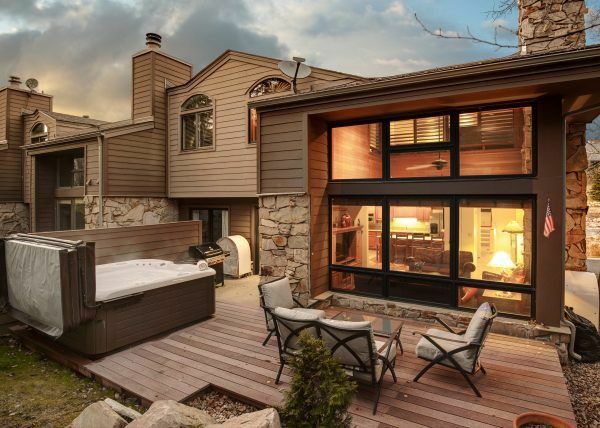 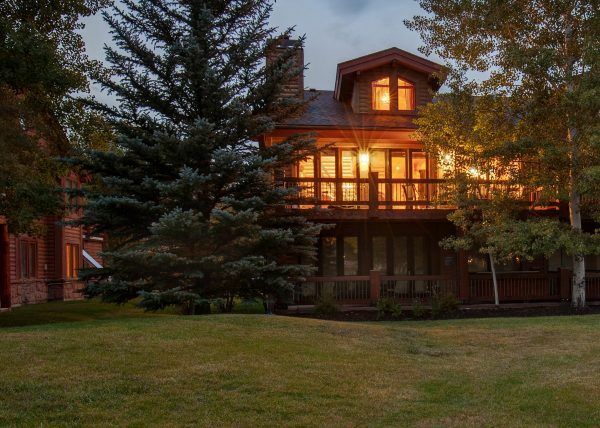 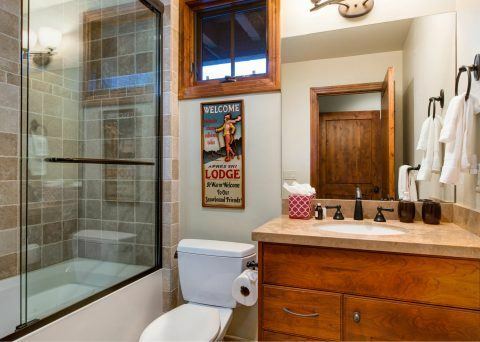 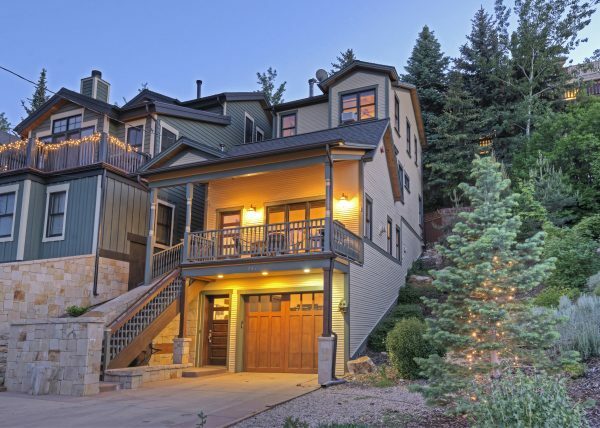 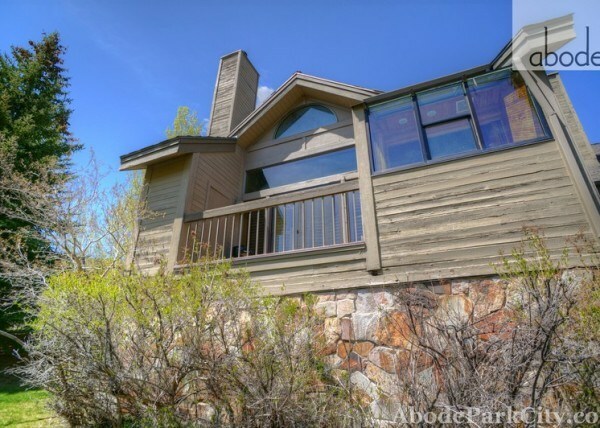 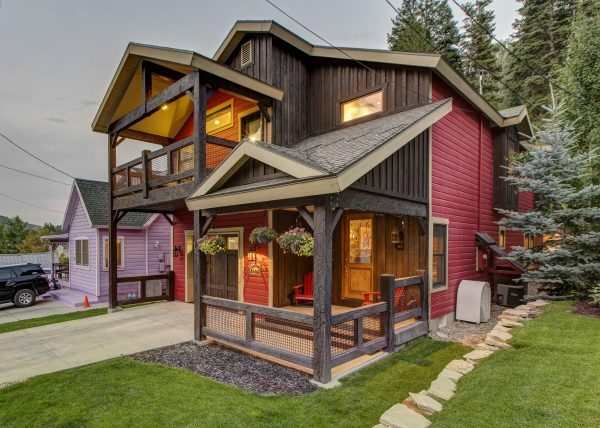 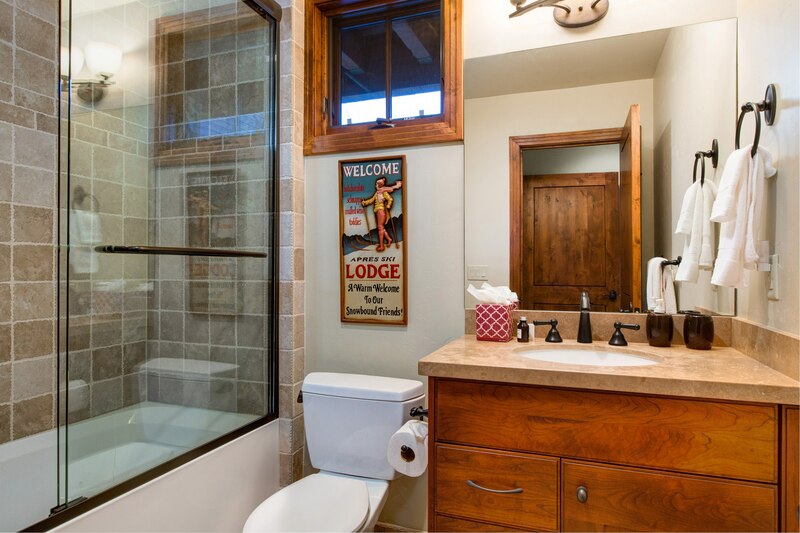 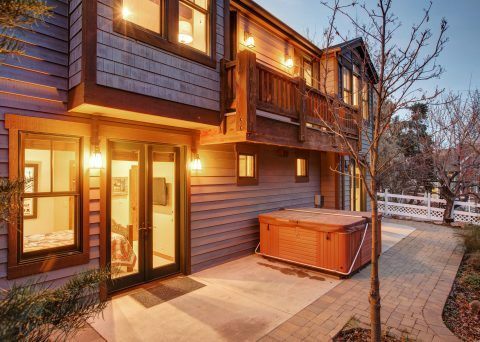 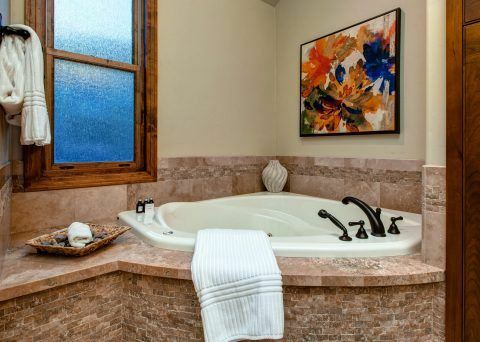 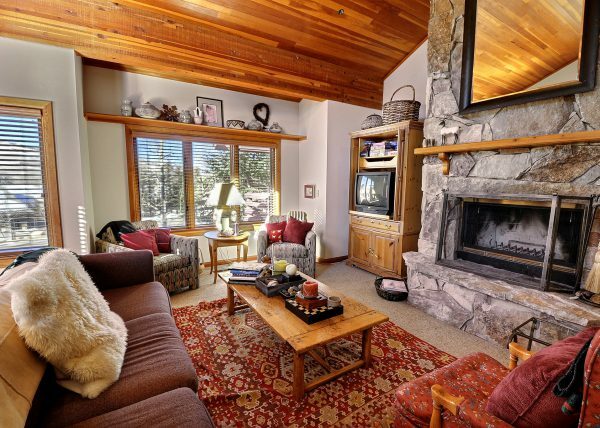 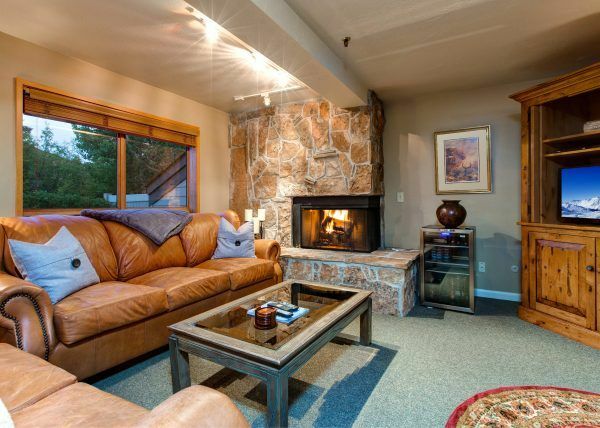 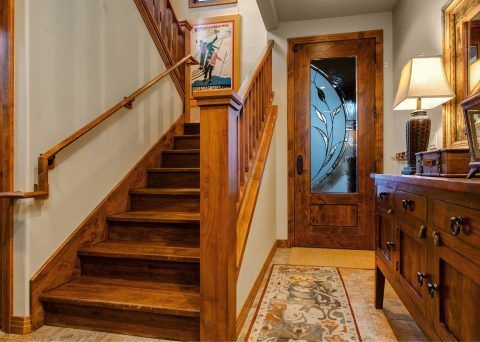 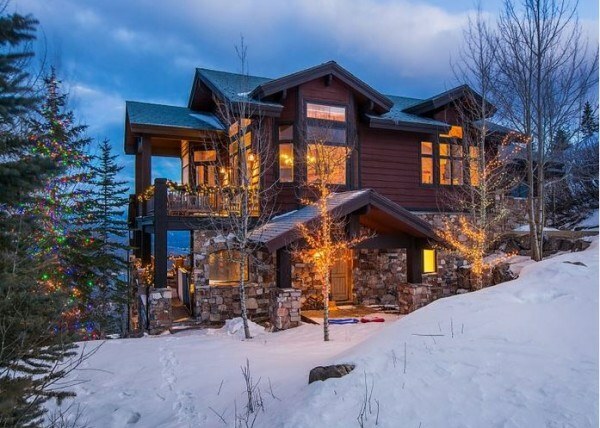 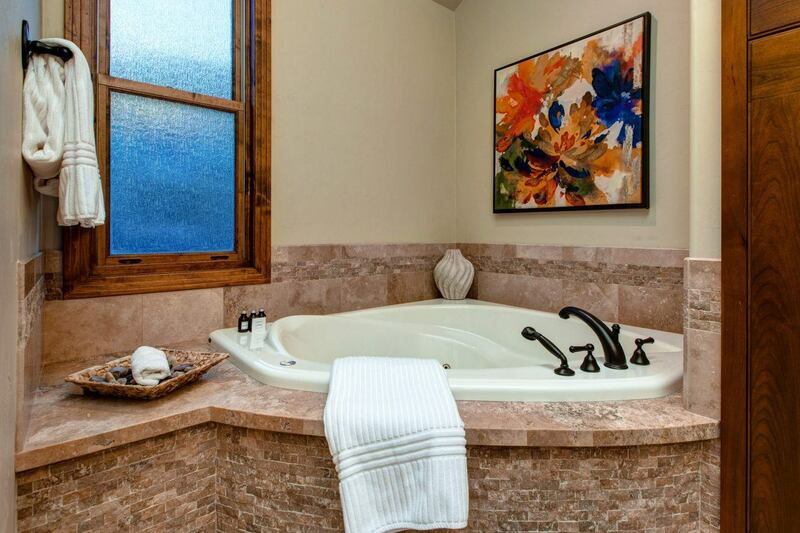 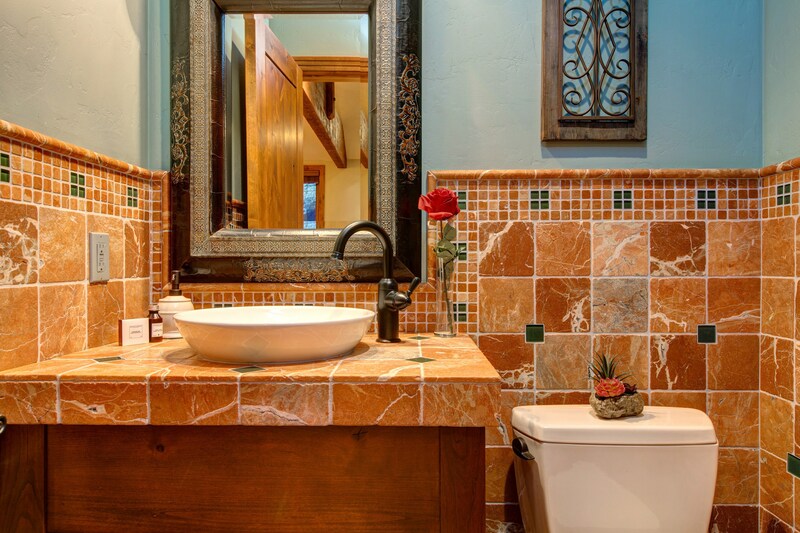 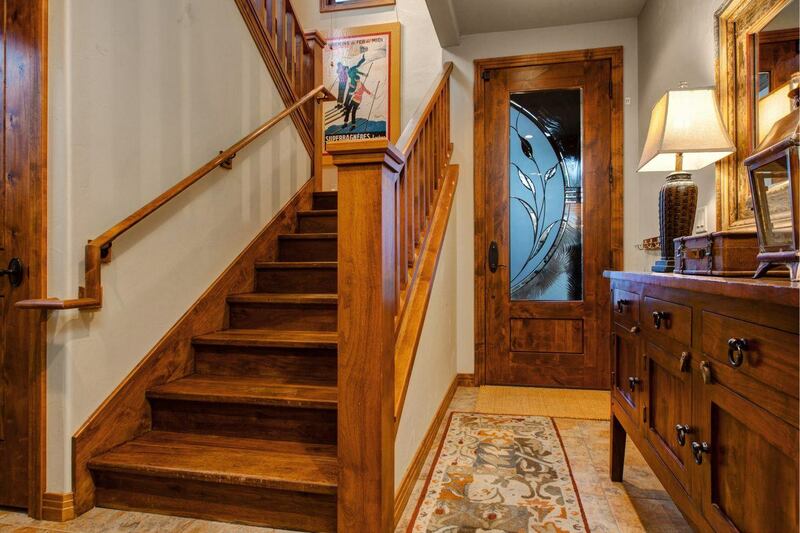 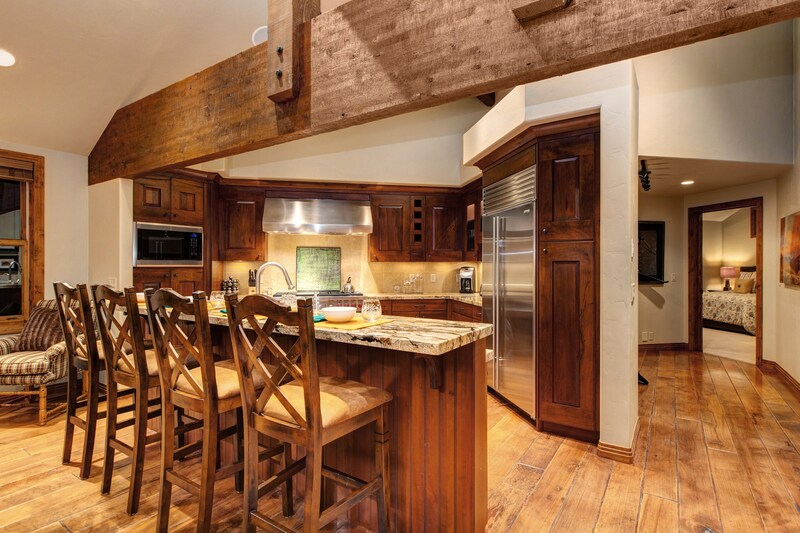 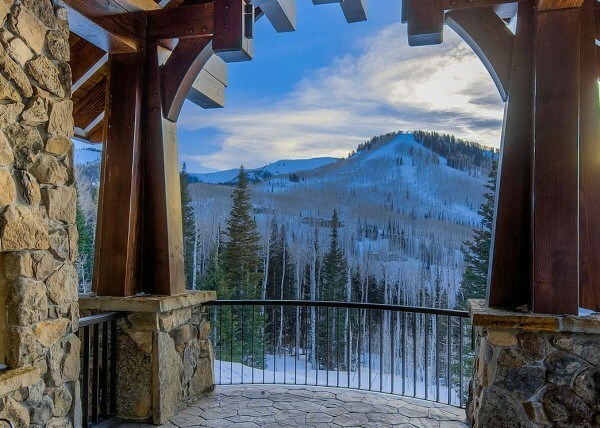 Soak after skiing or hiking in the private 7 person hot tub on a large patio with mountain views. 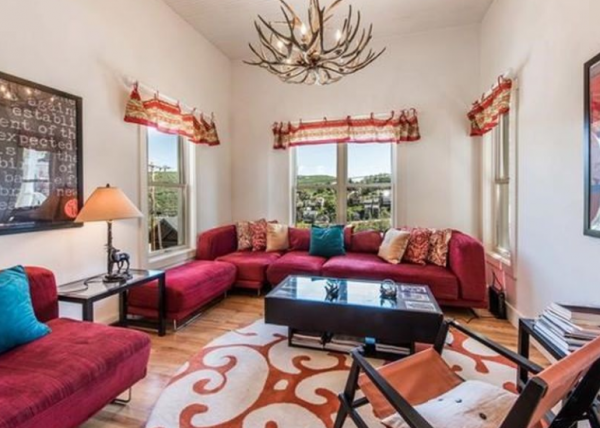 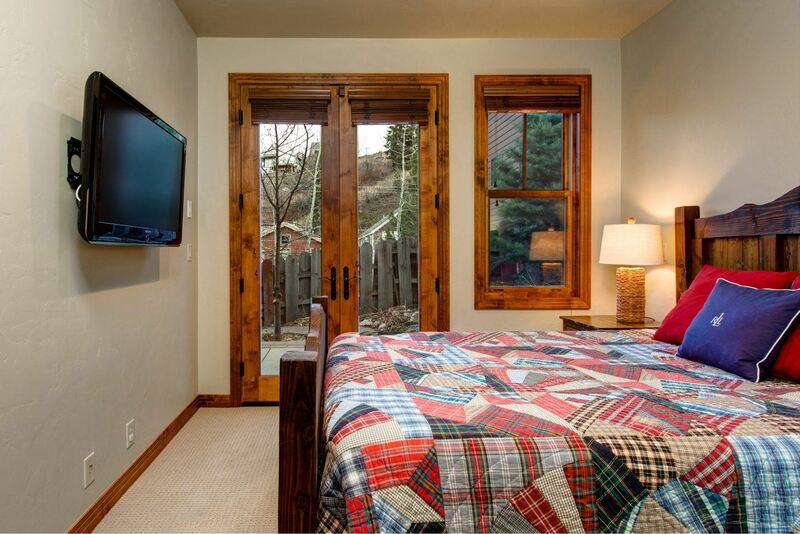 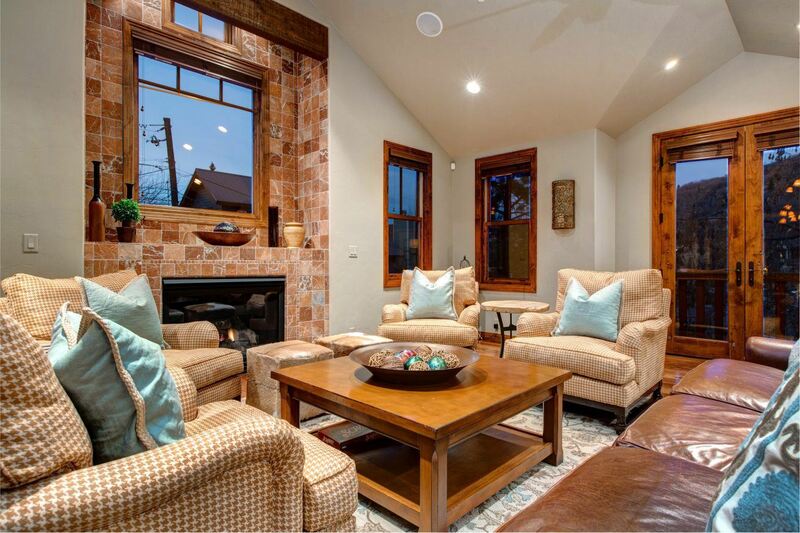 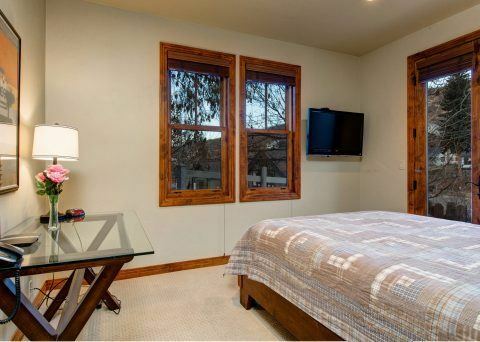 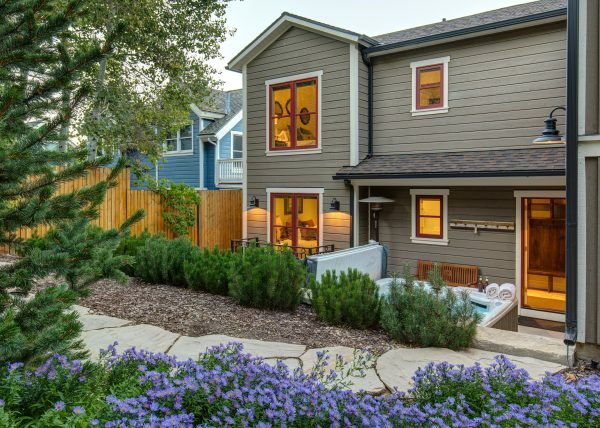 The home comes with cable, high speed Wifi and hotel-like linens. 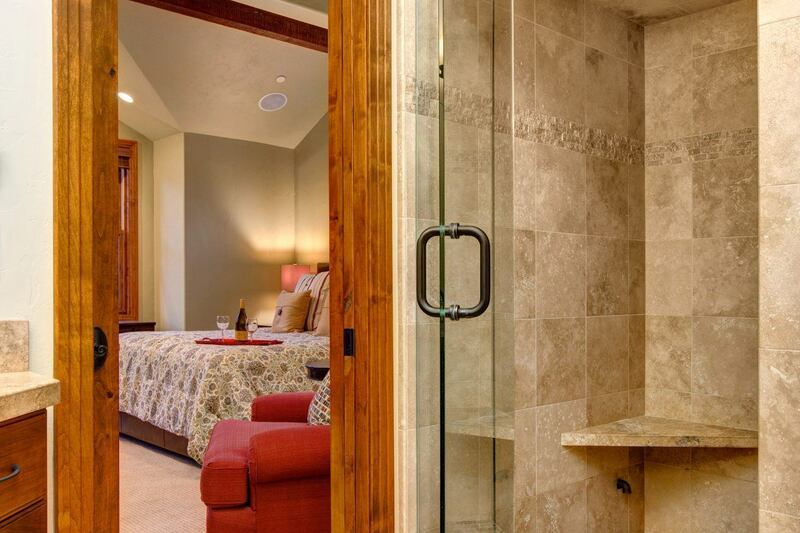 Also enjoy access to a private health club and spa in town with discounted spa treatments. 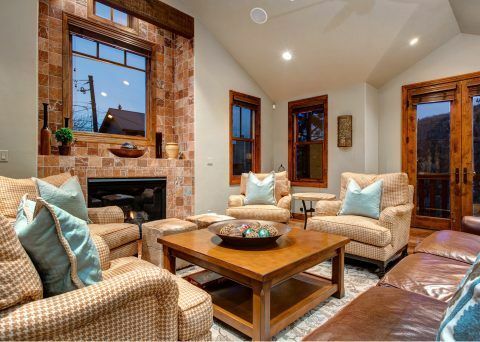 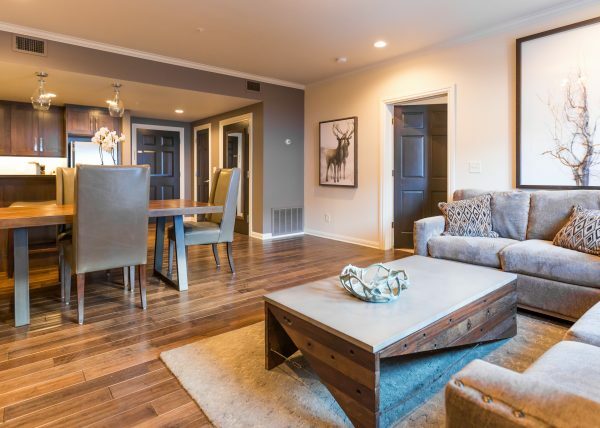 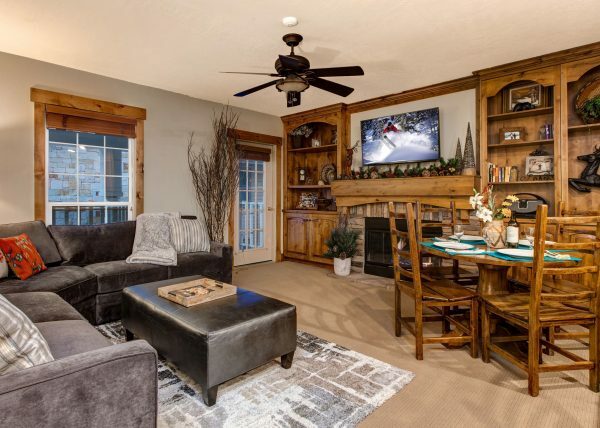 If you like to stay in a newly redecorated and spacious home that has 5- star quality furnishings just off of Main Street in the quiet South End of Old Town – you’ve found the perfect place! 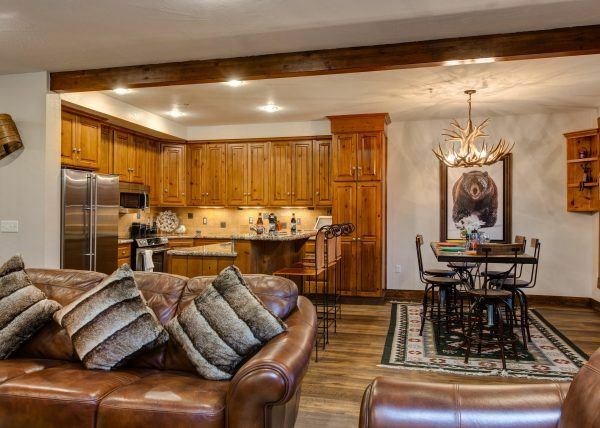 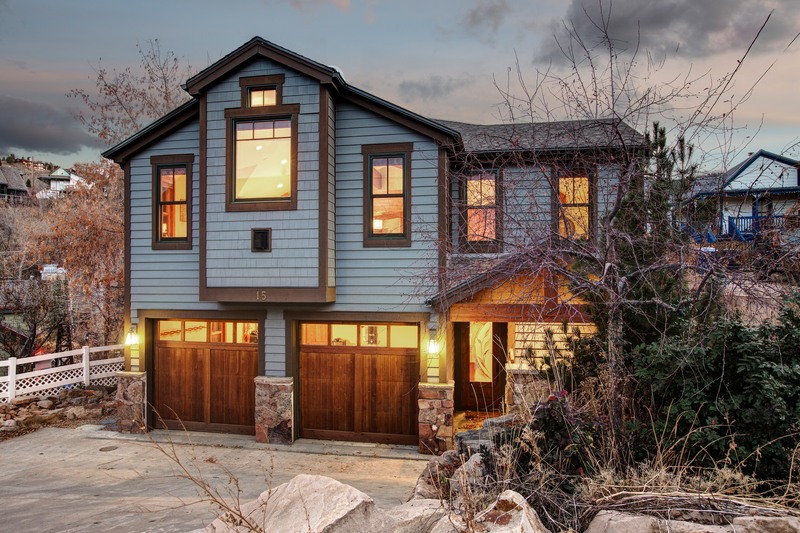 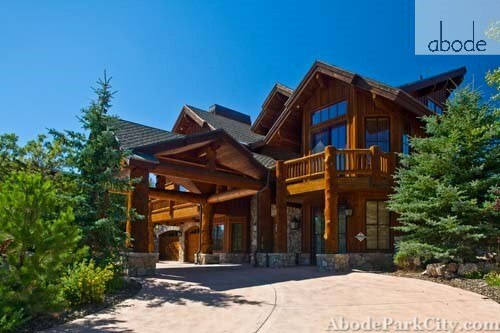 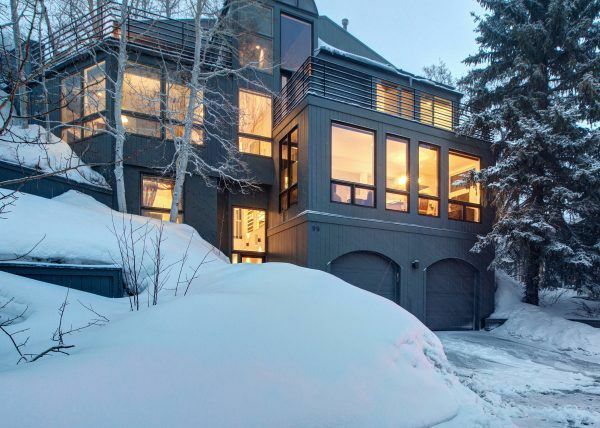 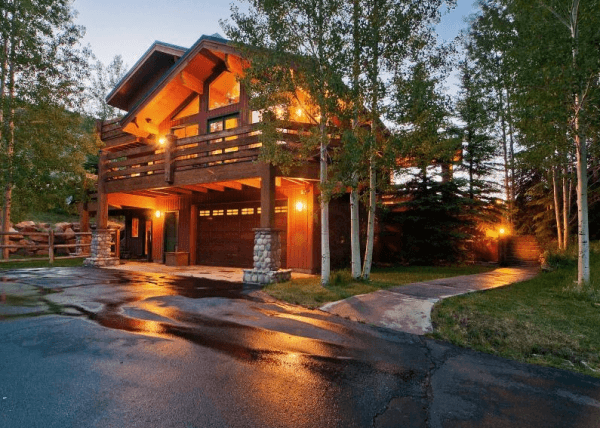 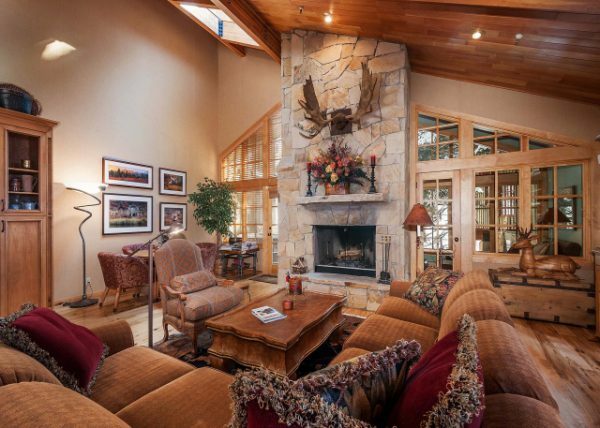 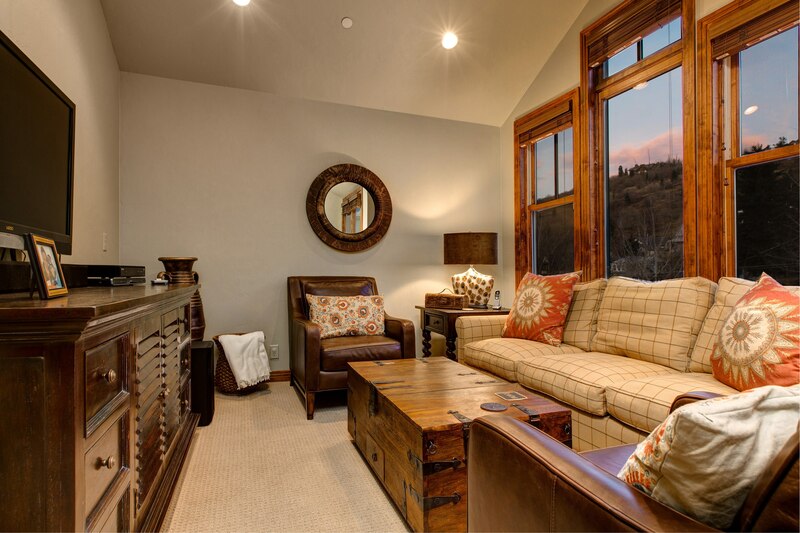 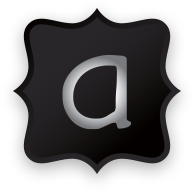 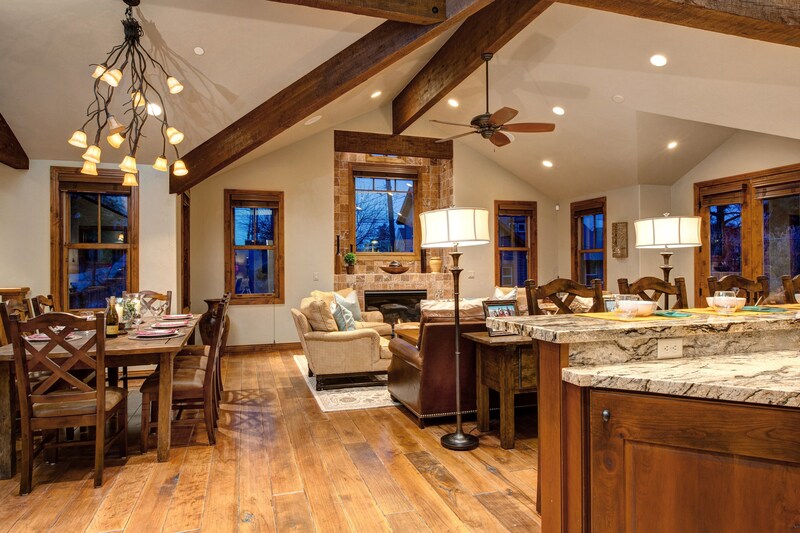 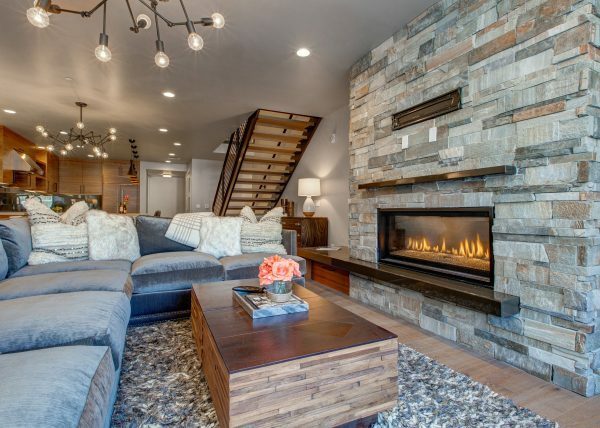 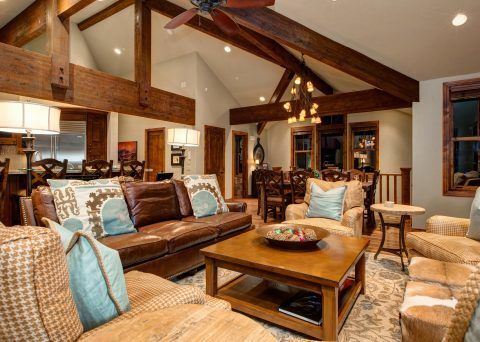 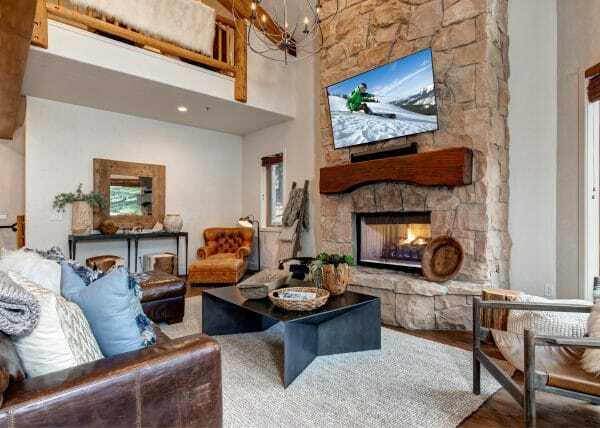 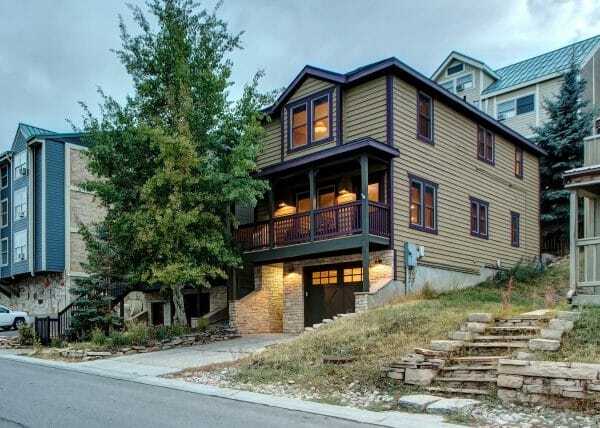 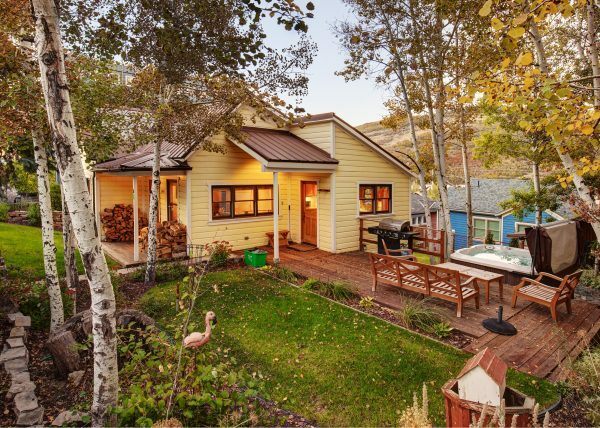 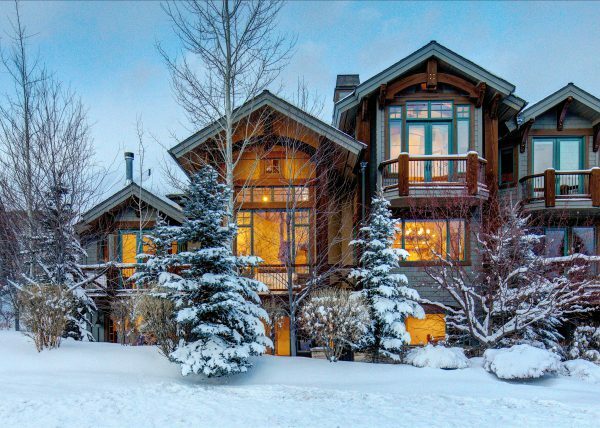 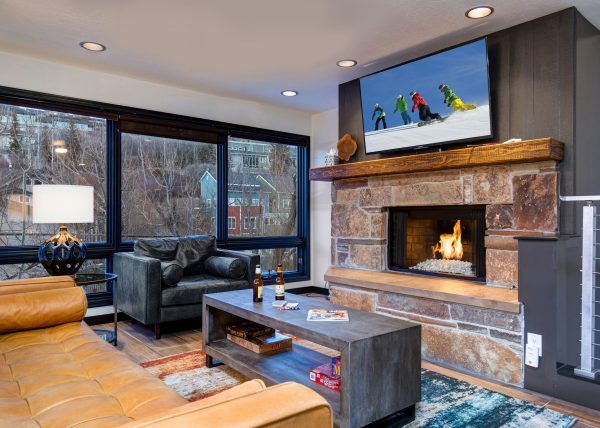 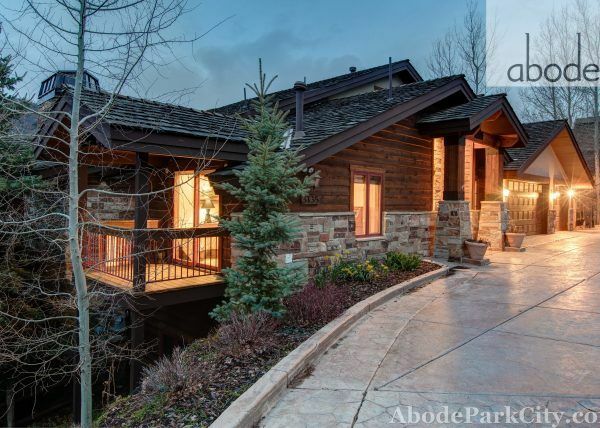 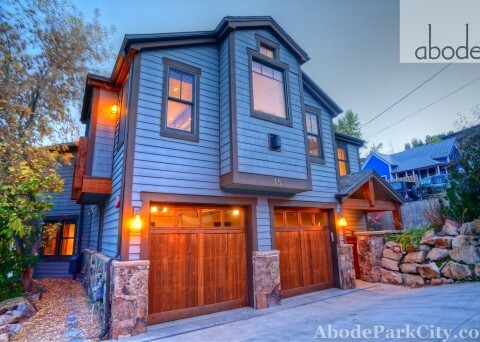 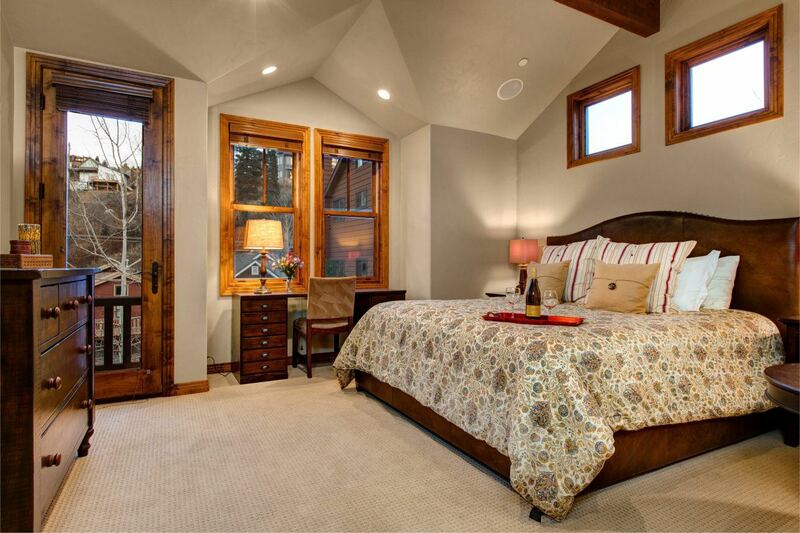 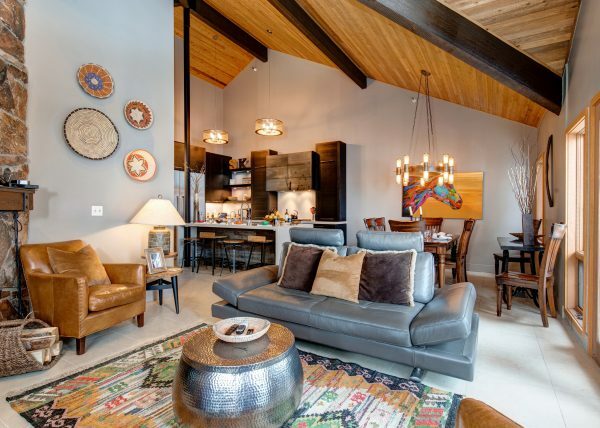 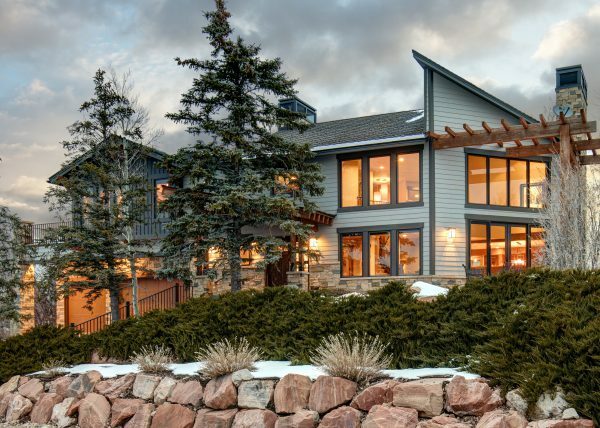 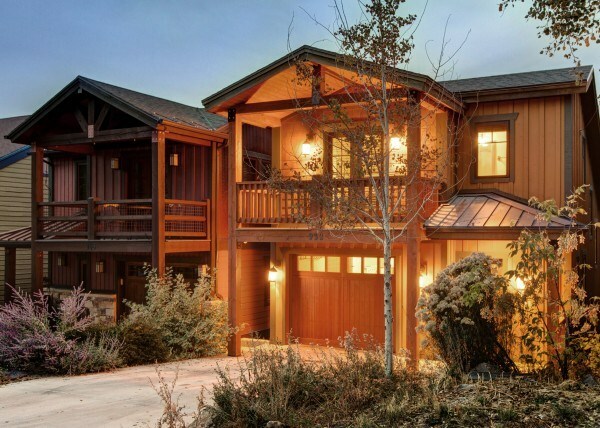 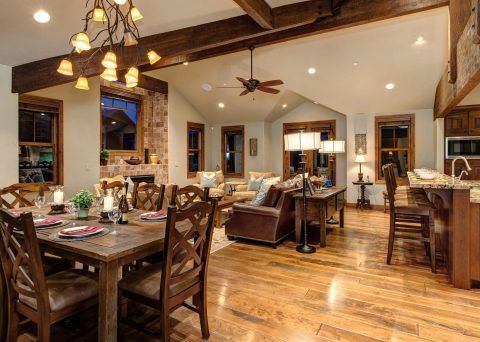 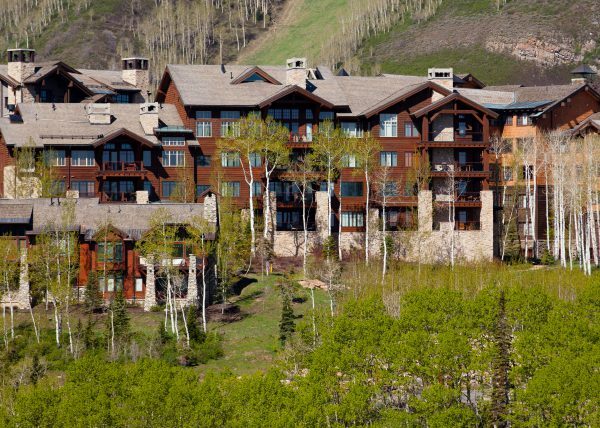 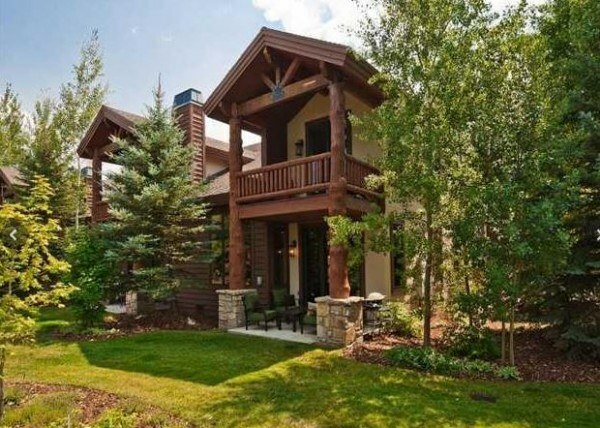 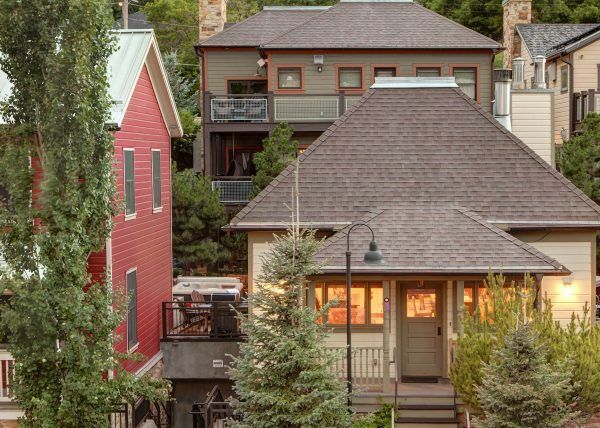 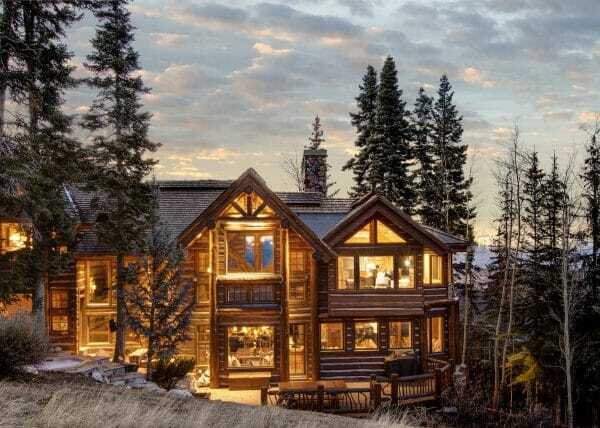 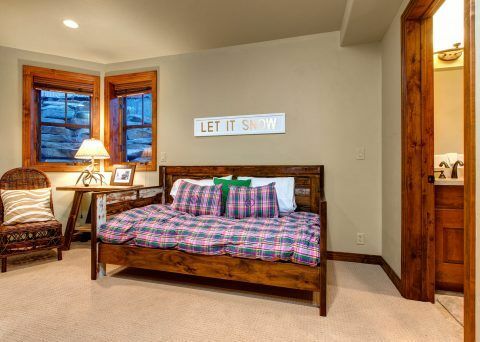 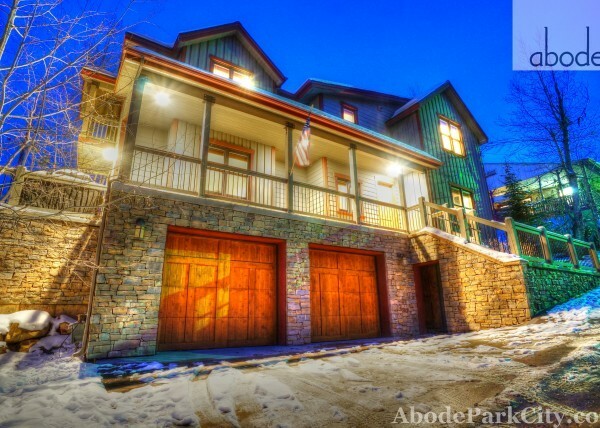 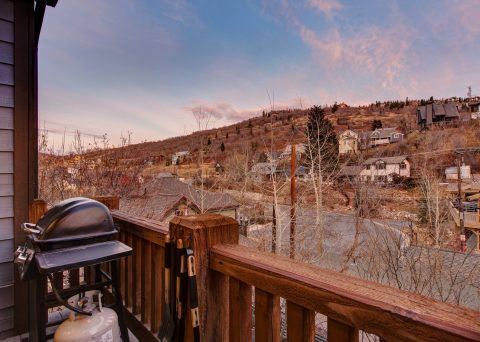 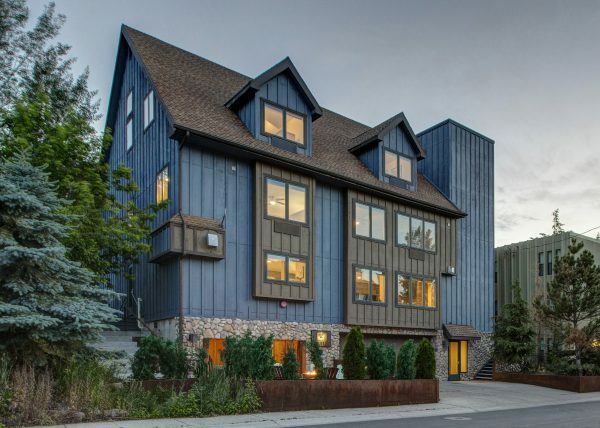 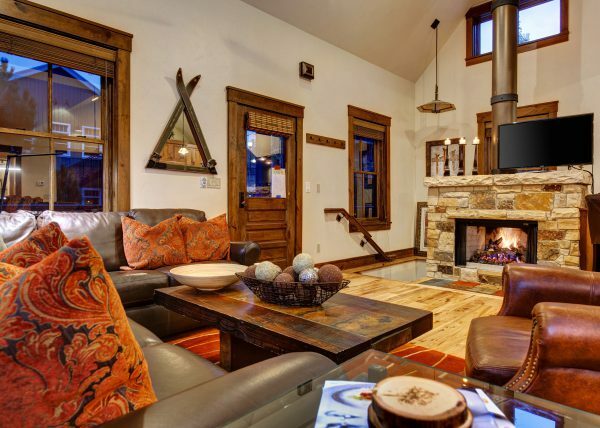 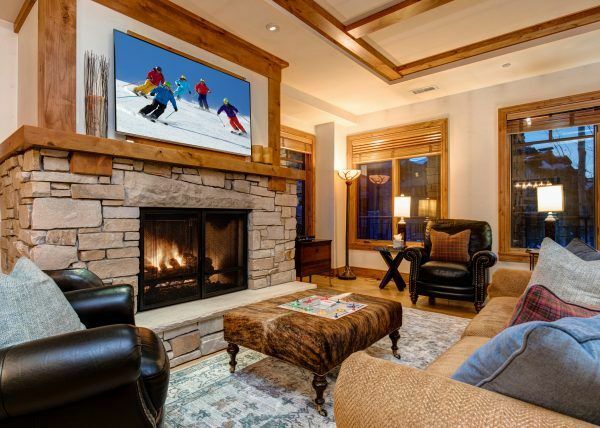 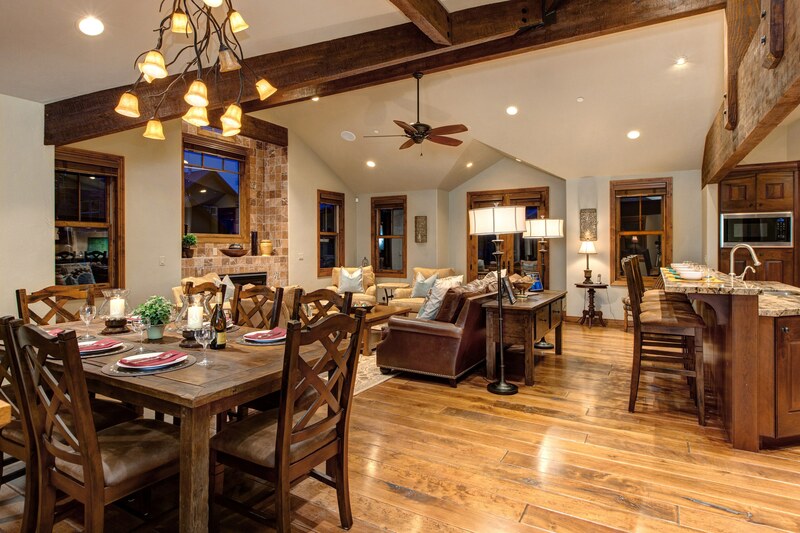 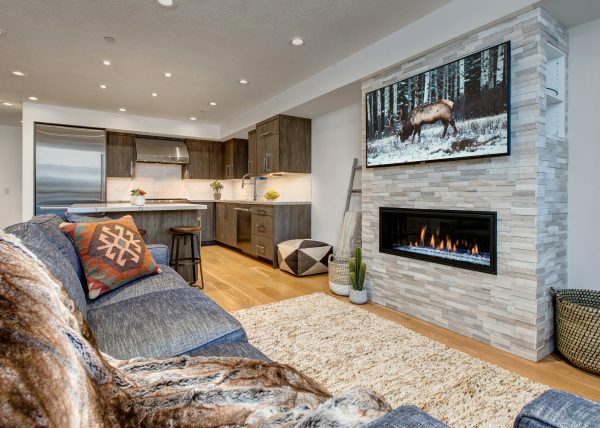 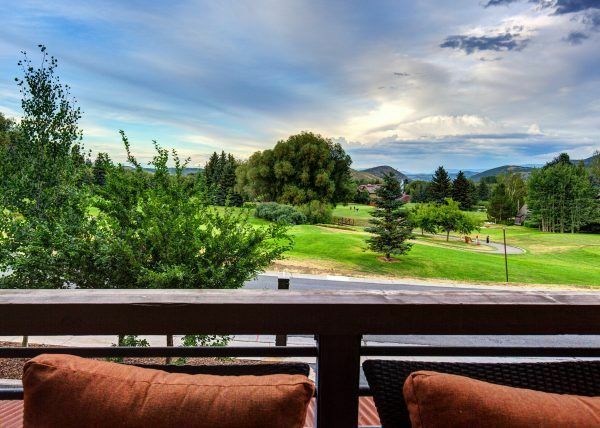 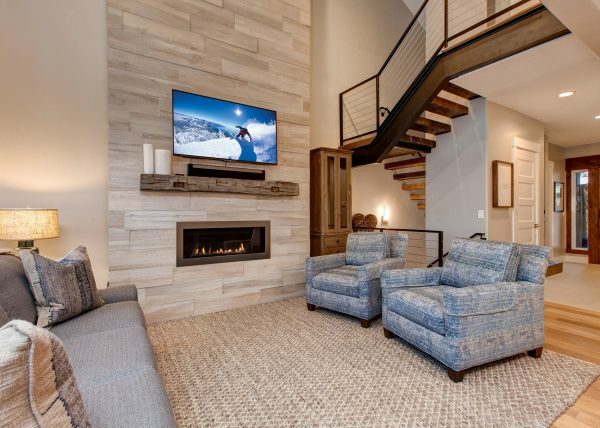 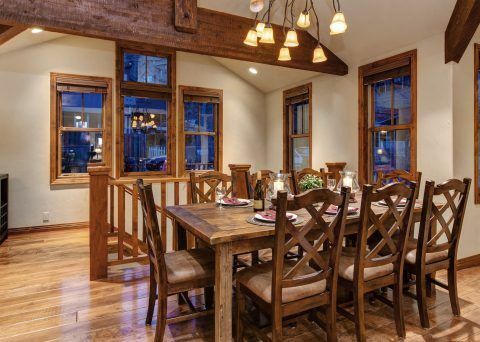 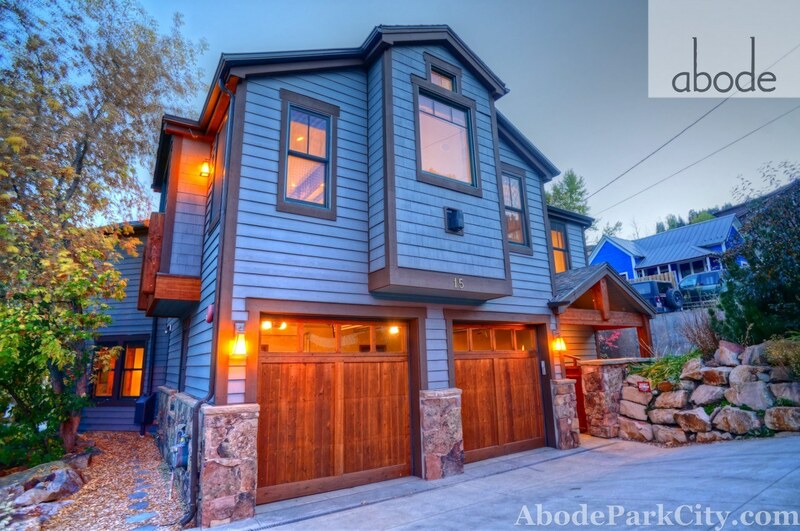 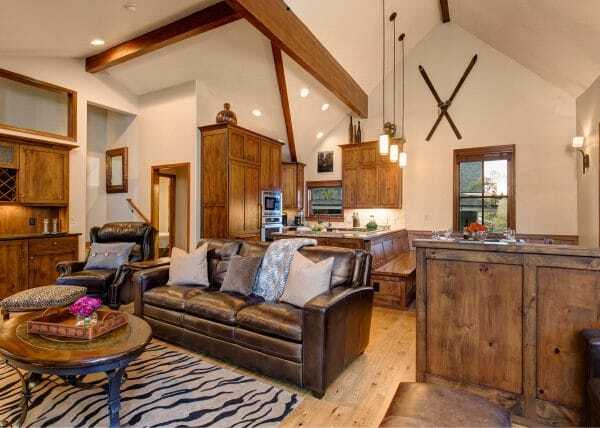 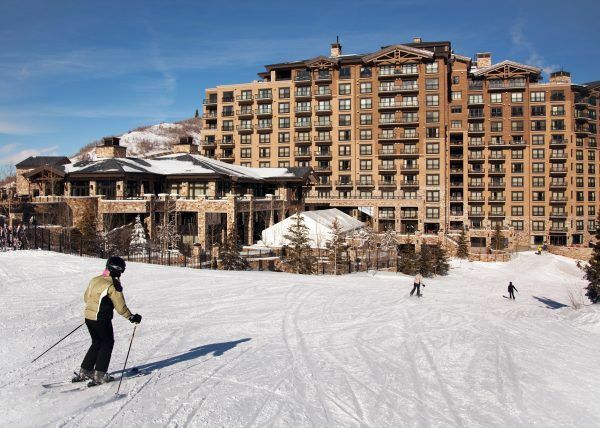 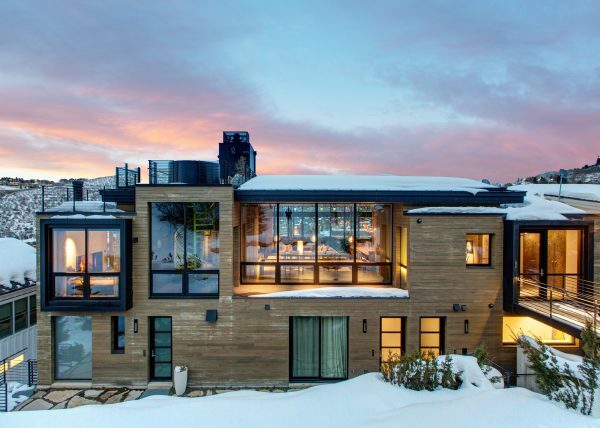 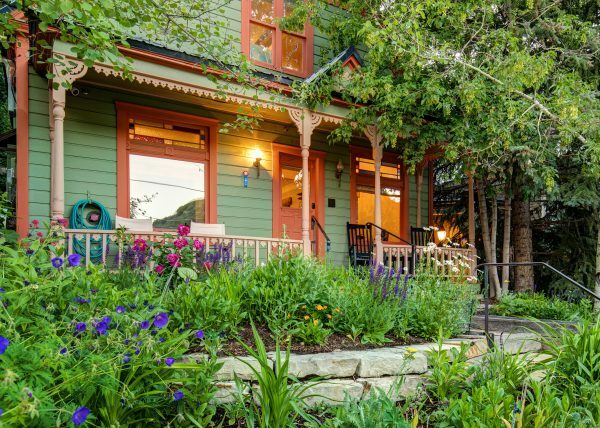 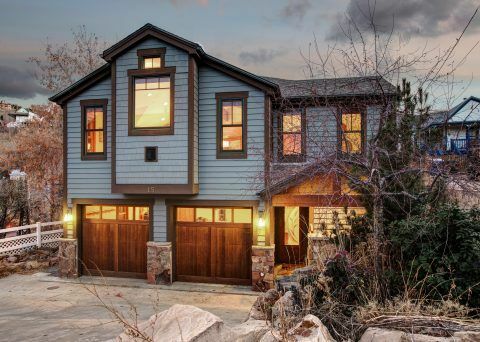 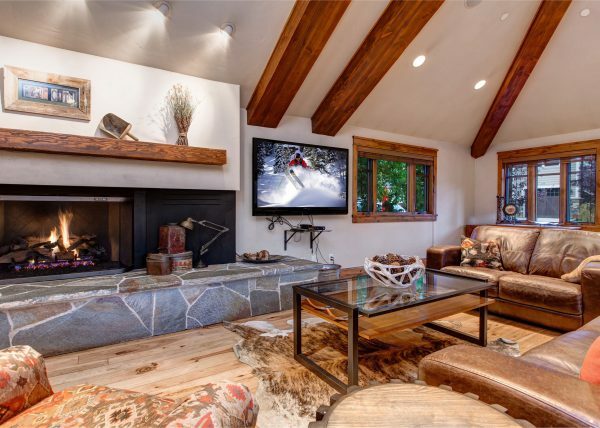 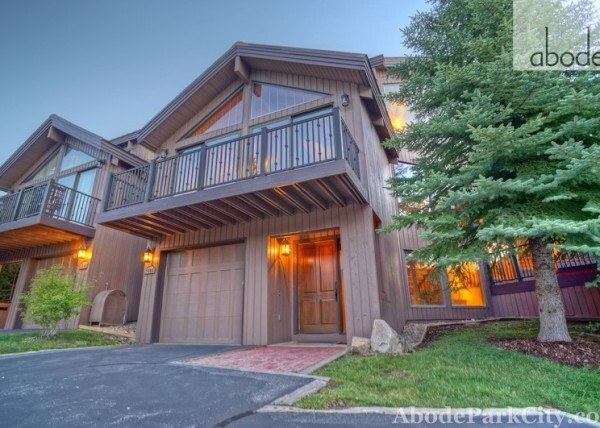 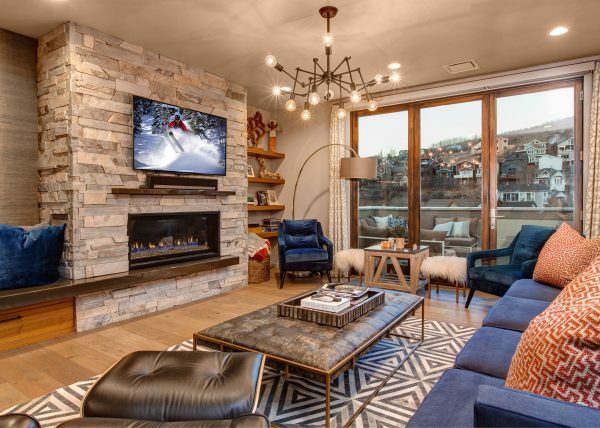 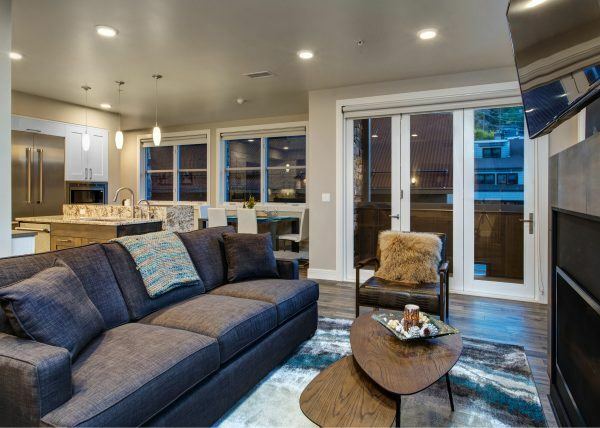 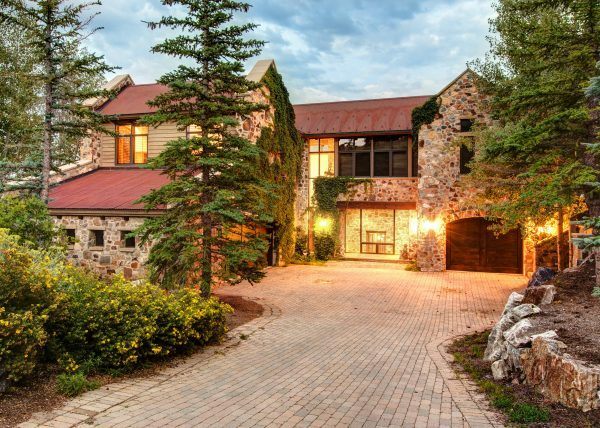 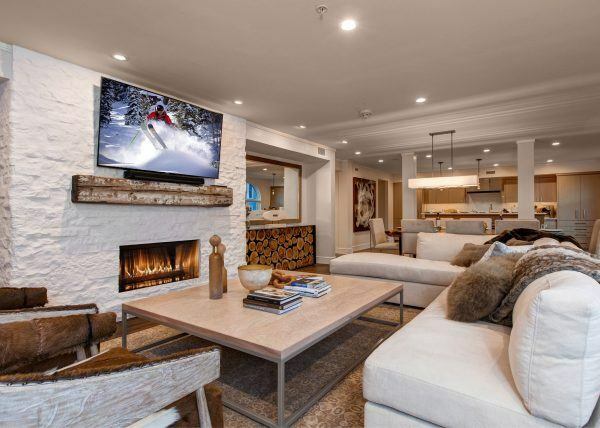 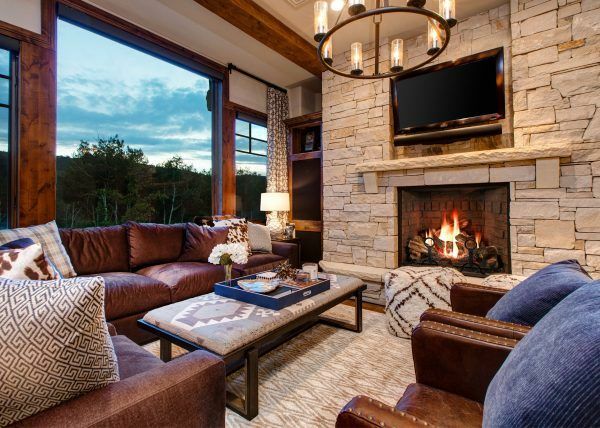 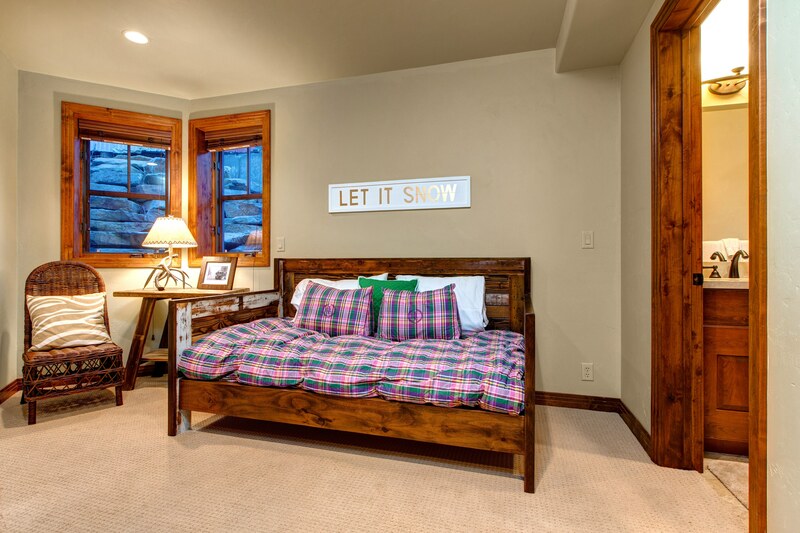 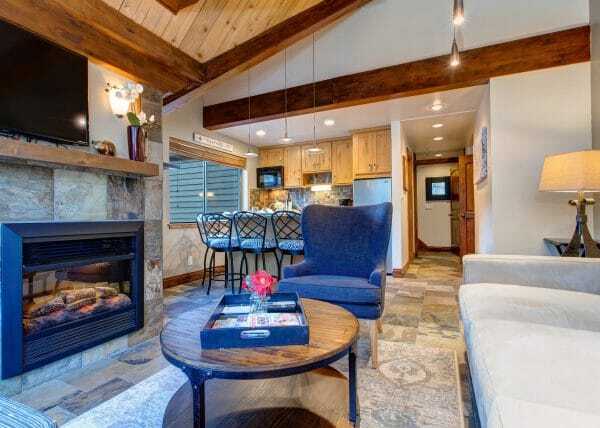 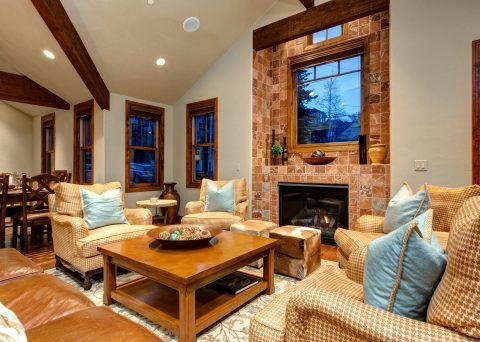 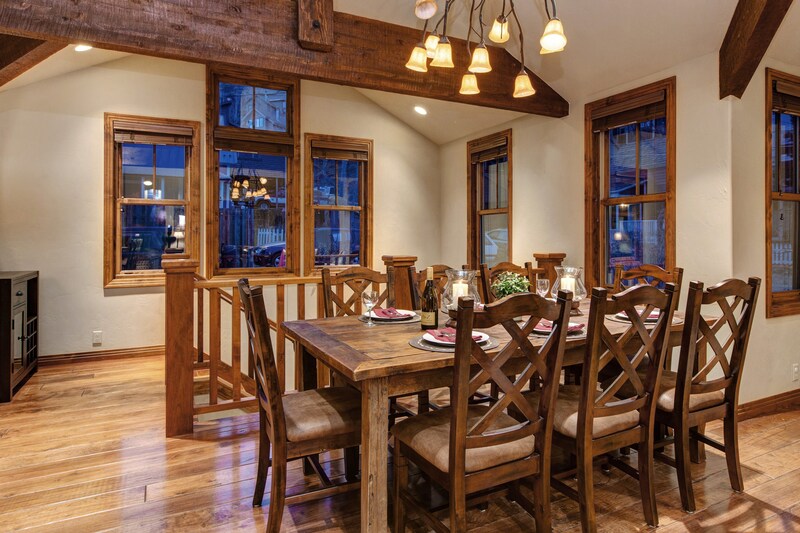 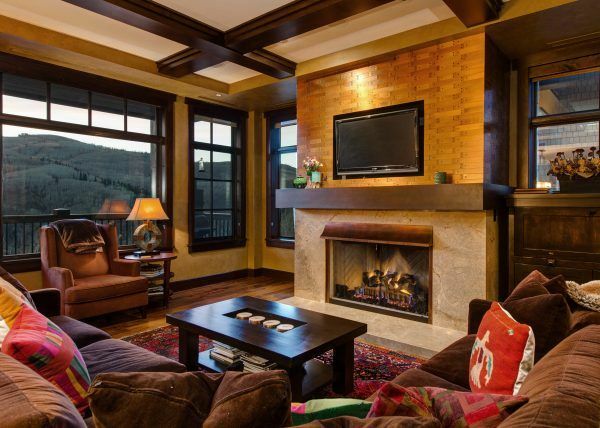 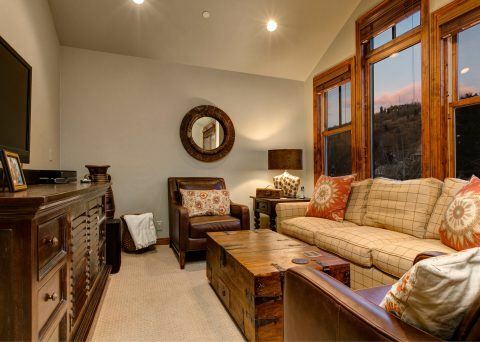 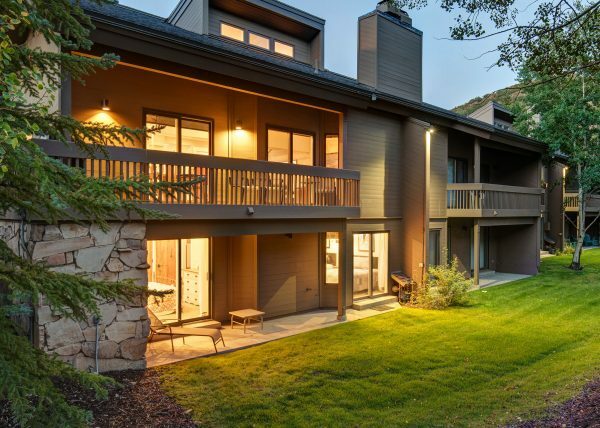 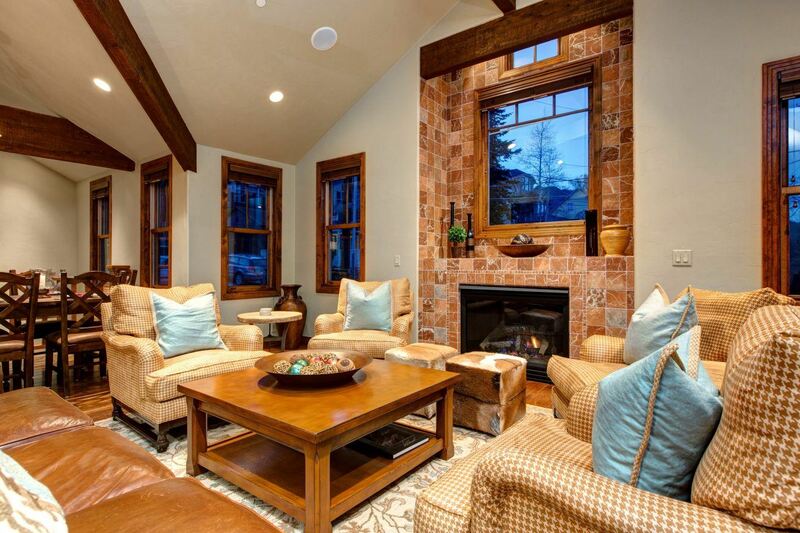 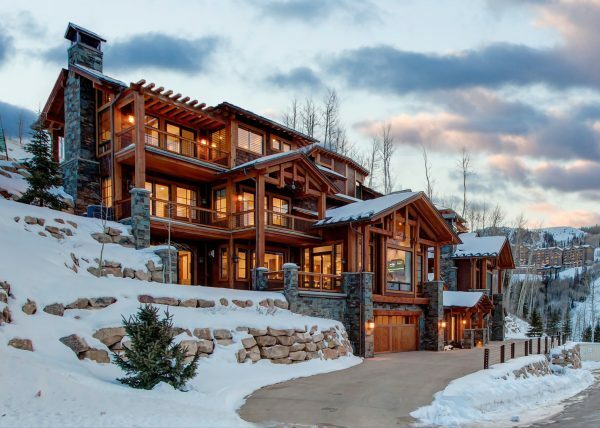 So stop searching for lodging in Park City, Utah, and book today!